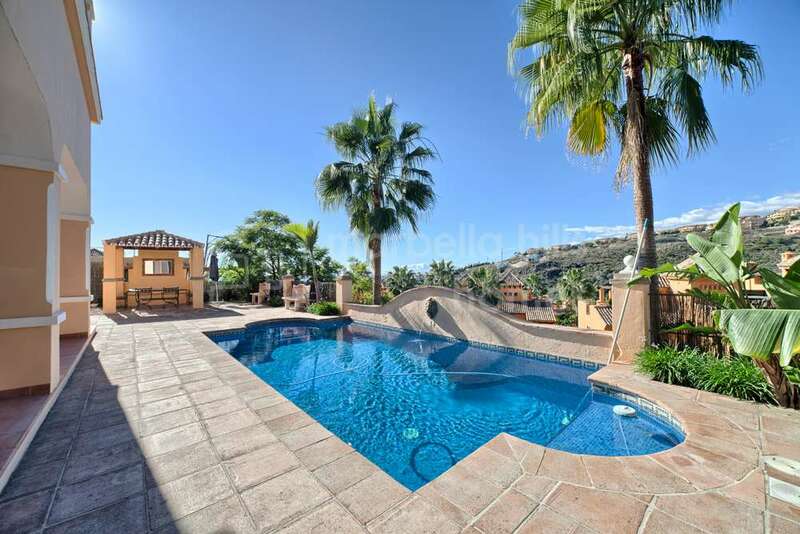 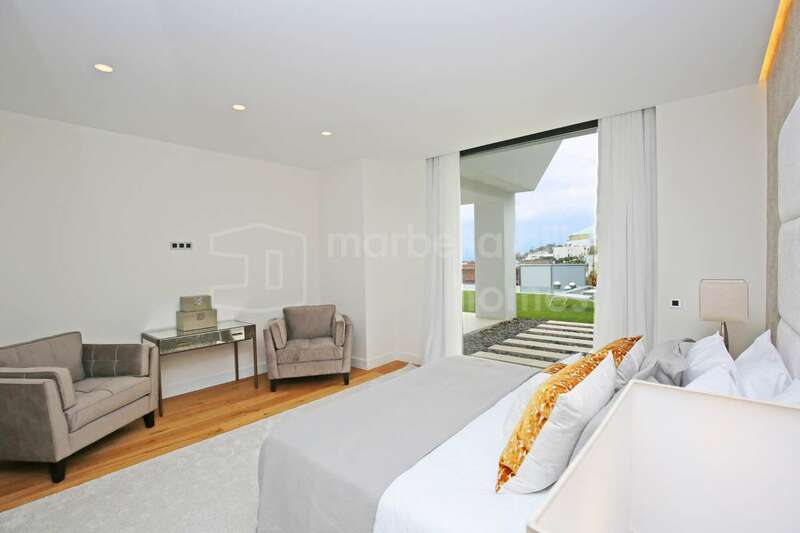 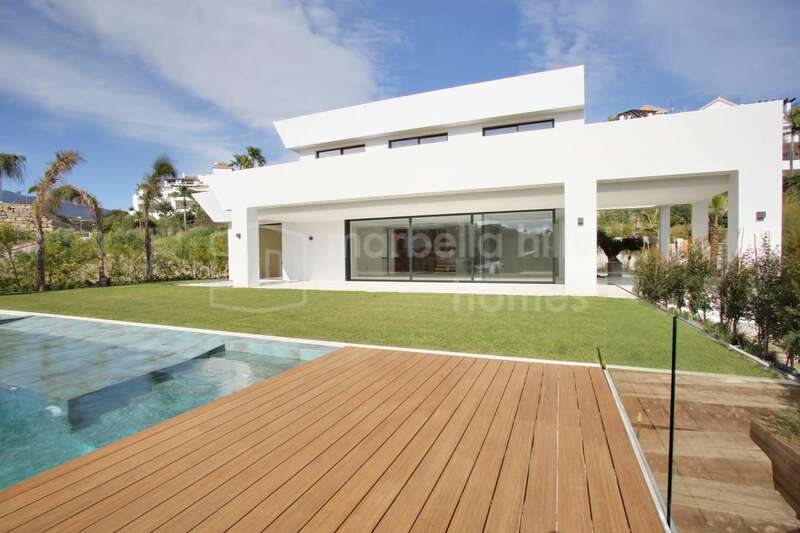 This stylish five-bedroom villa in La Alquería features impressive contemporary architectural styling and five-star luxury in an upcoming luxury villa suburb with imposing sea, golf and mountain views. 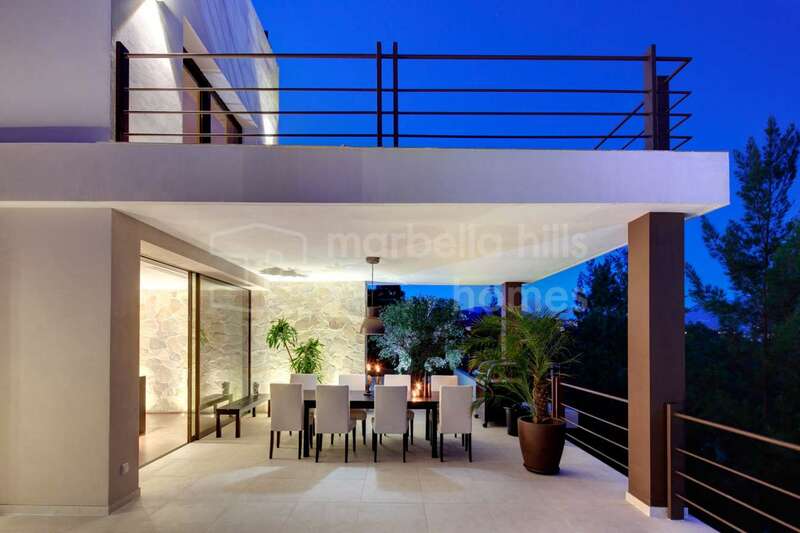 With a built area of over 700m2 and alluring outdoor living areas that extend the large open-plan living room, dining and state-of-the-art kitchen, the villa offers the ultimate Marbella lifestyle in its glamorous poolside deck and covered outdoor lounge, dining and relaxing areas. 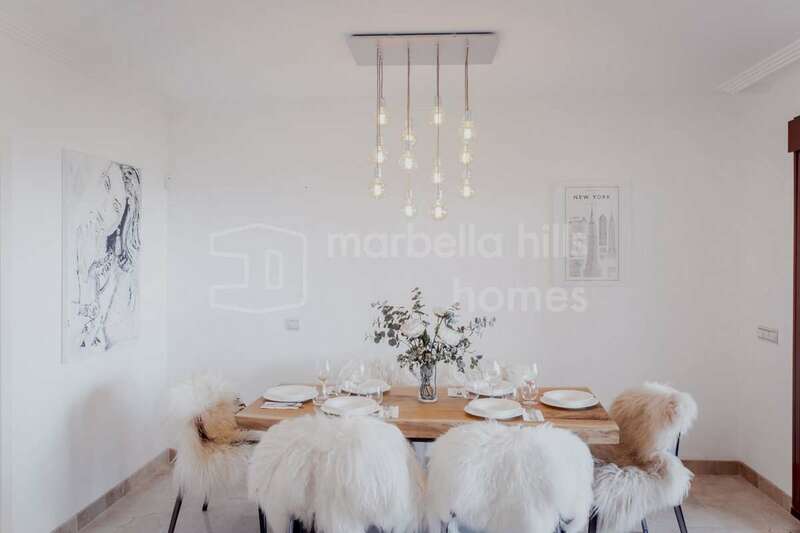 Perfect for comfortable, sophisticated living and entertaining in style, this superlative home occupies a largely level plot with manicured garden framing commanding views of the Mediterranean and the nearby mountain ranges. 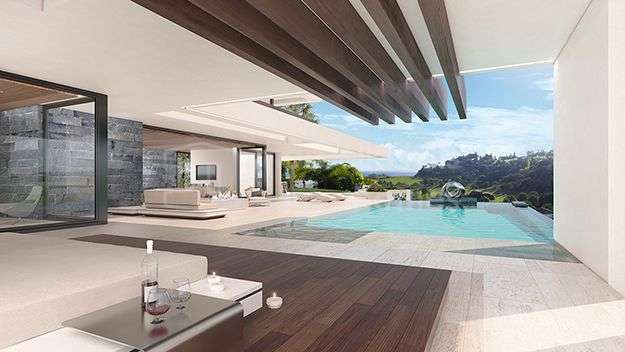 The interior reflects the latest word in style, with elegant bathrooms fitted with freestanding bathtubs and luxurious bedrooms that form a private retreat complete with their own panoramic lounge terraces. 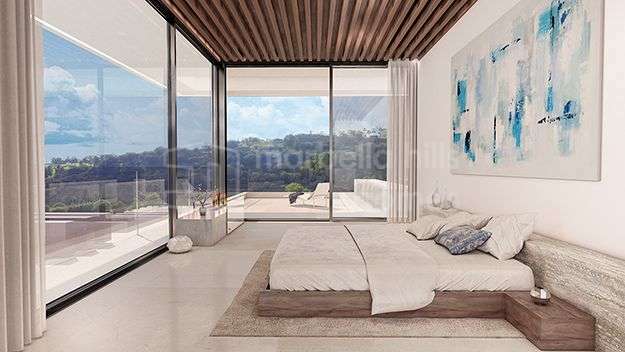 There is architectural sophistication throughout, from the infinity edge pool and modern colonnaded terrace to the first floor gallery and double-height floor to ceiling windows in the entrance hall – making this villa a design statement as well as a comfortable luxurious home. 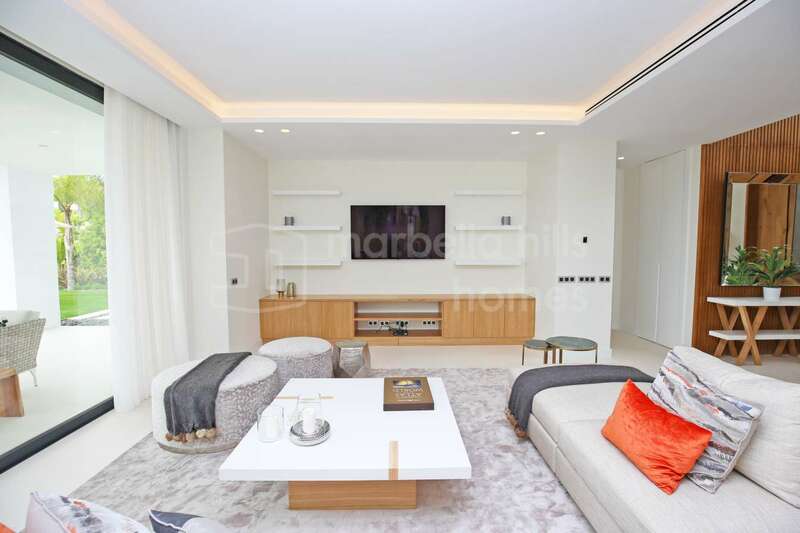 In keeping with this trend, the main living area is refined and impressive yet also welcoming and intimate, a home to impress with but also enjoy as a family. 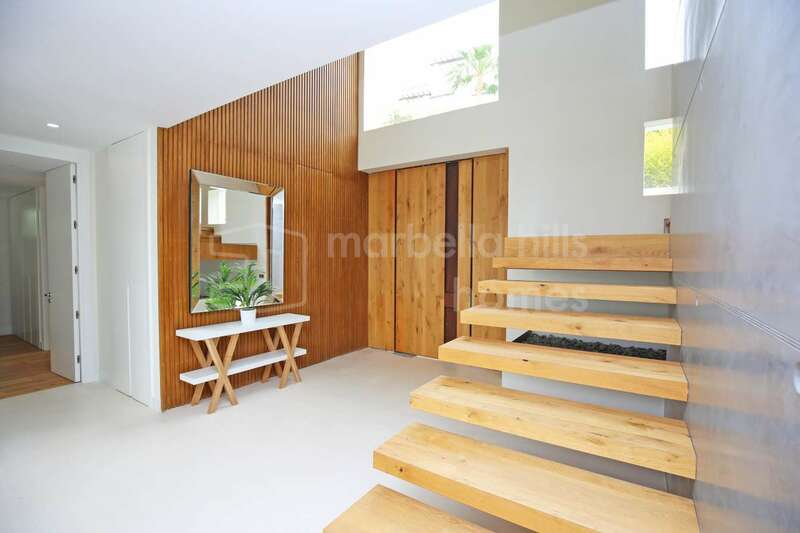 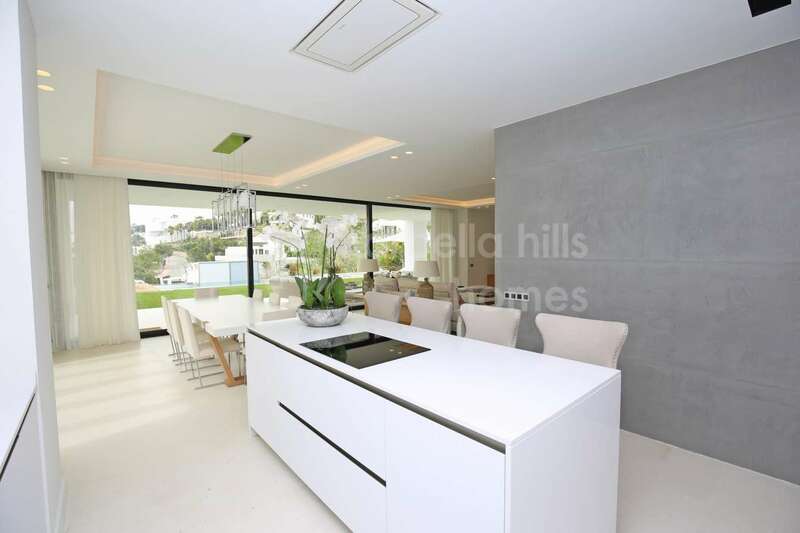 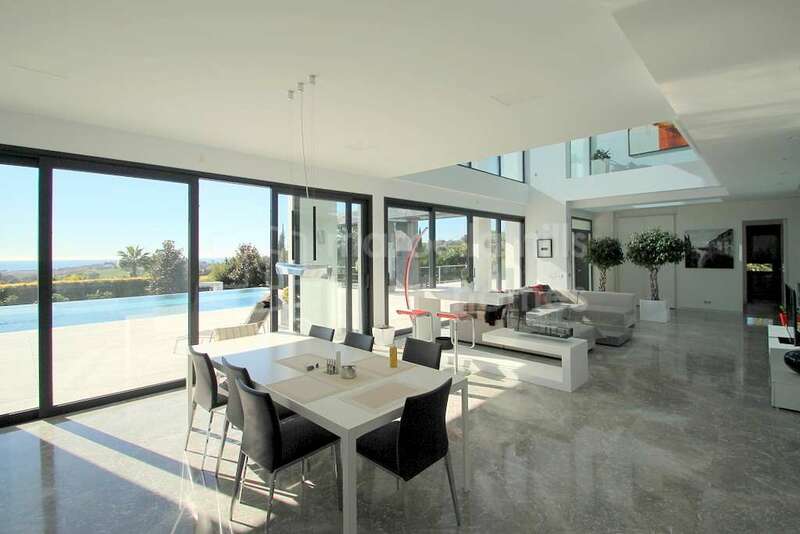 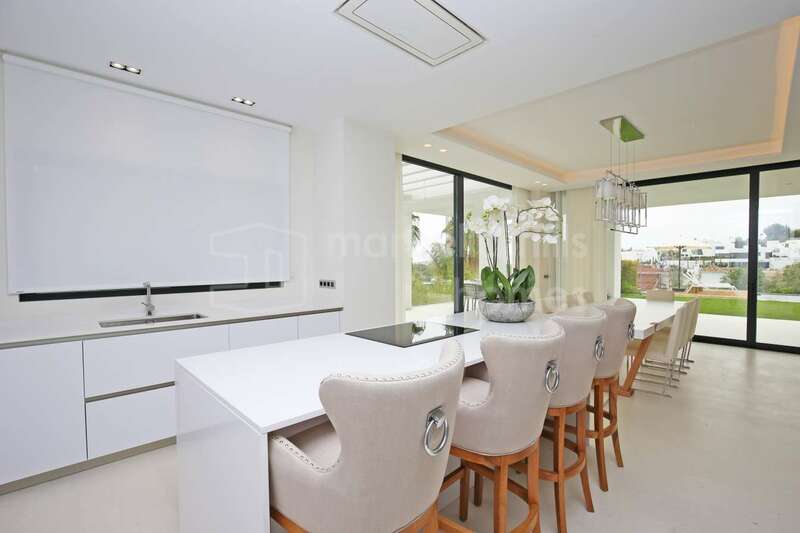 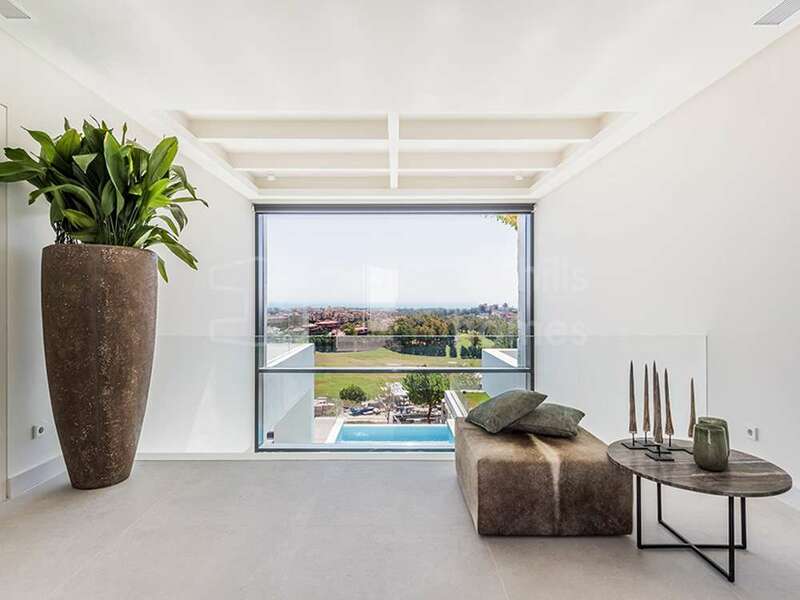 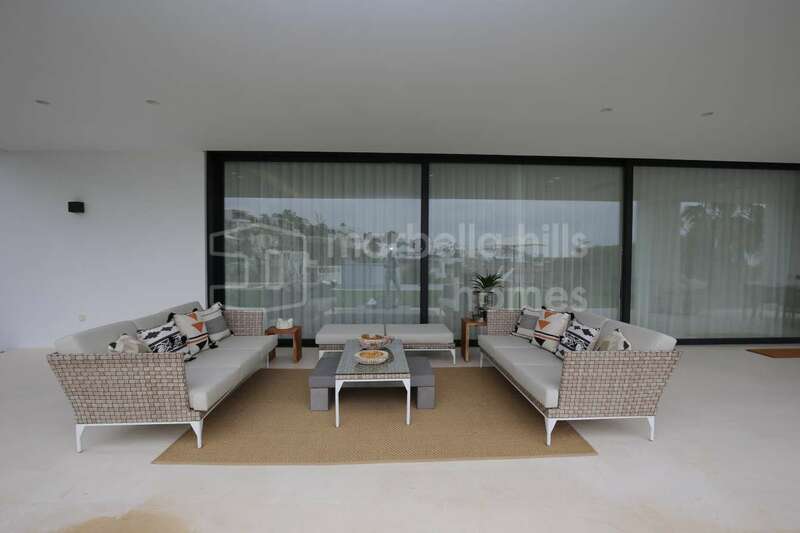 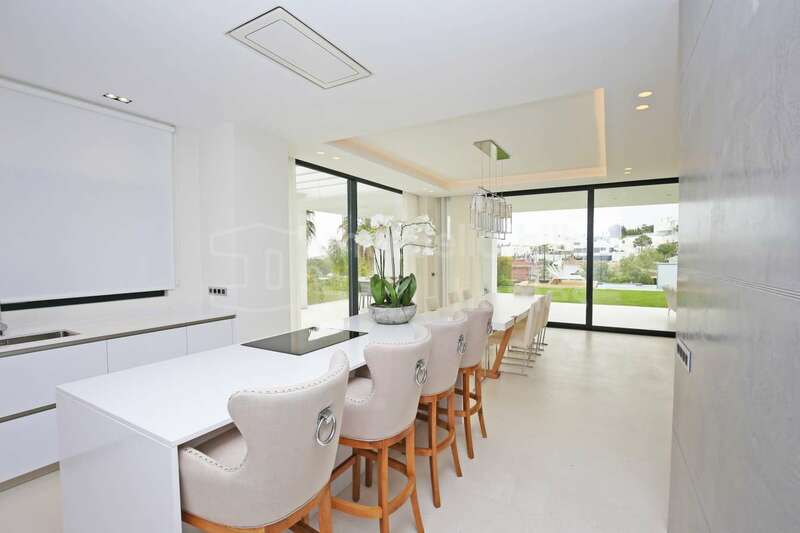 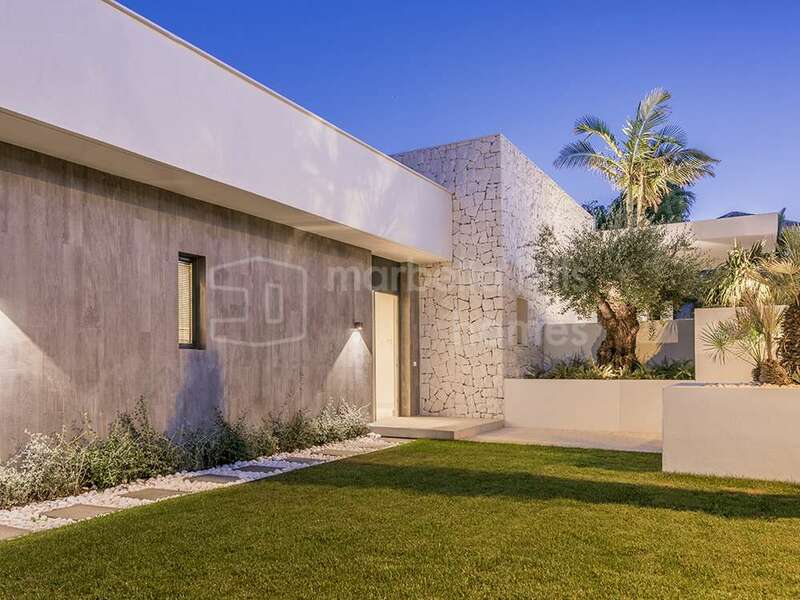 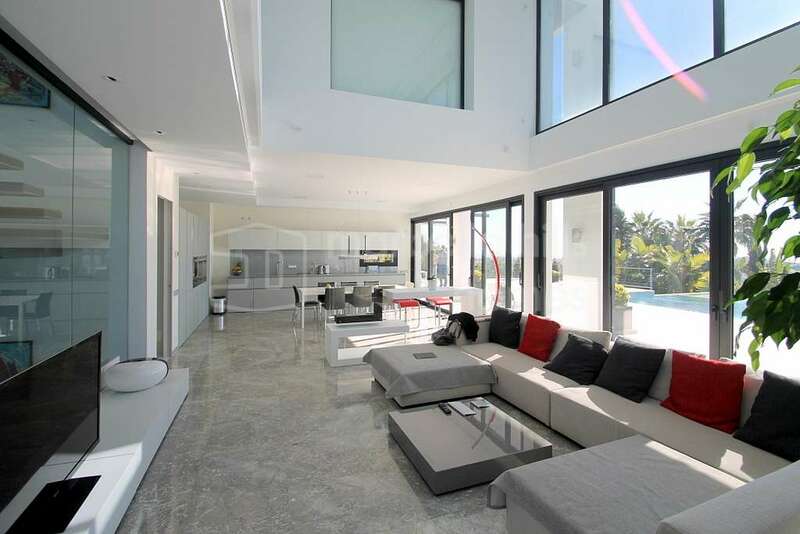 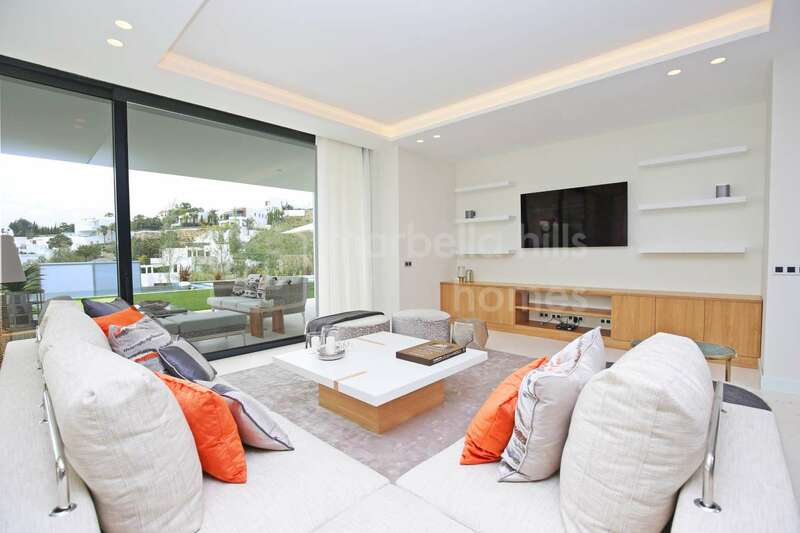 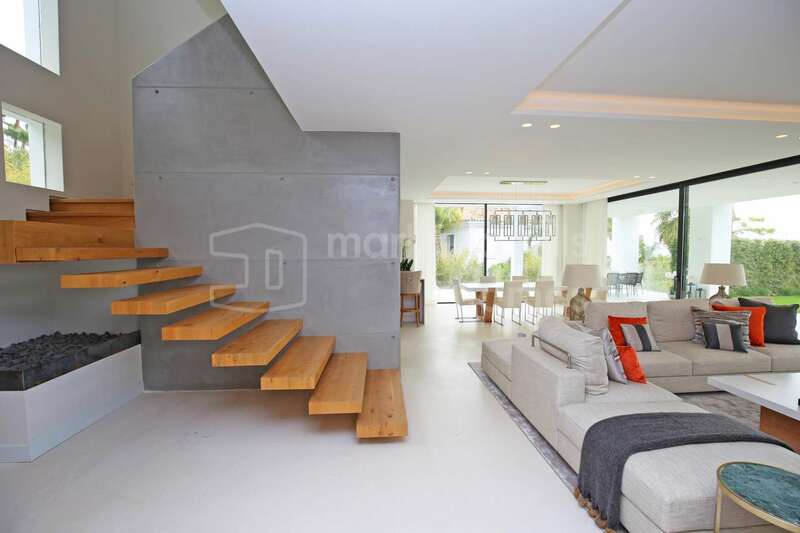 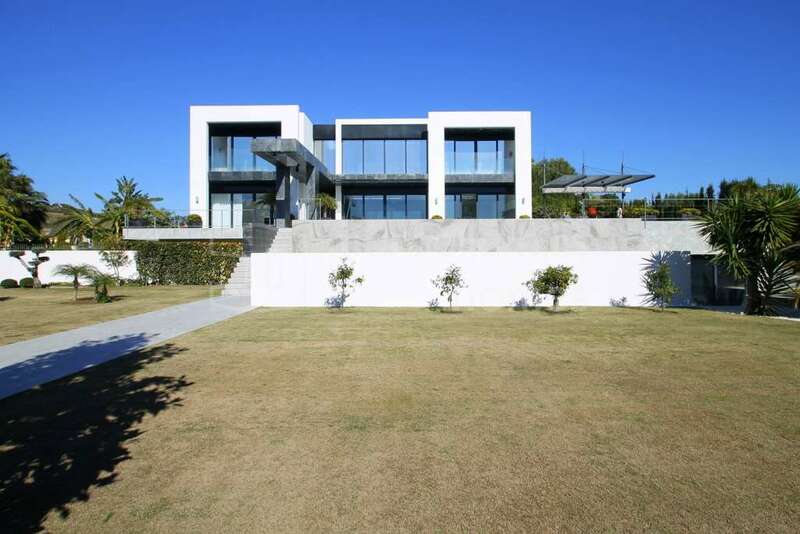 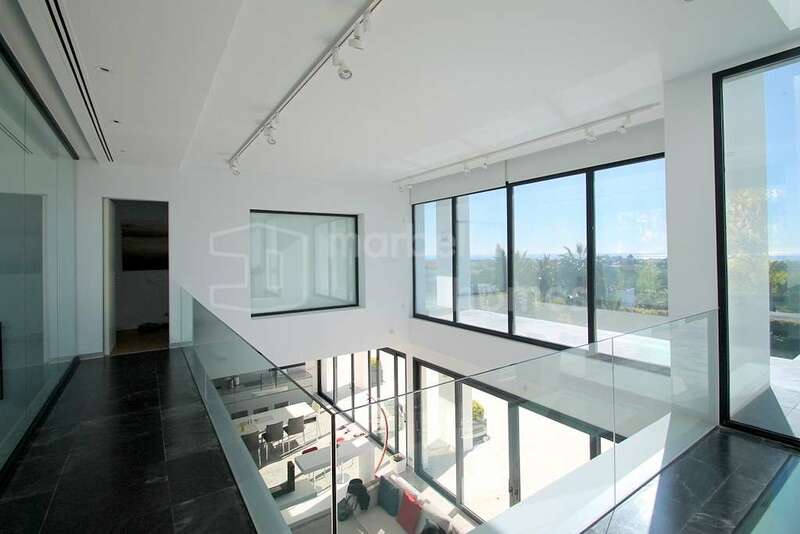 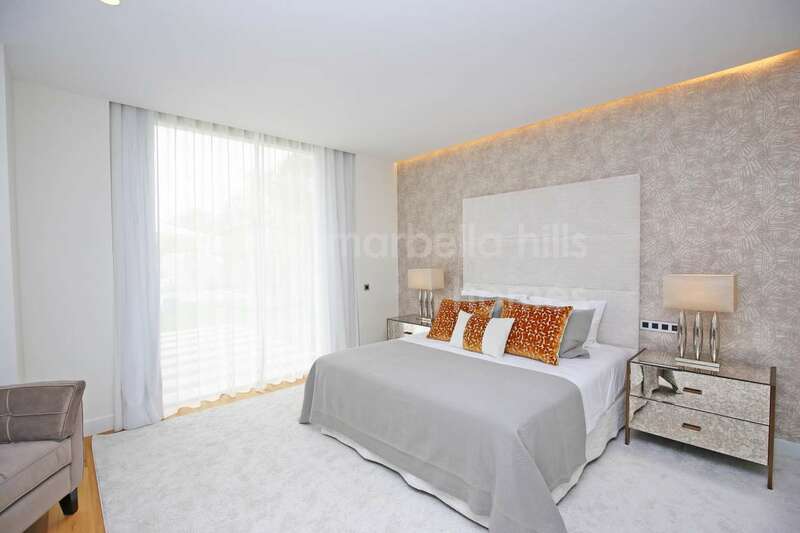 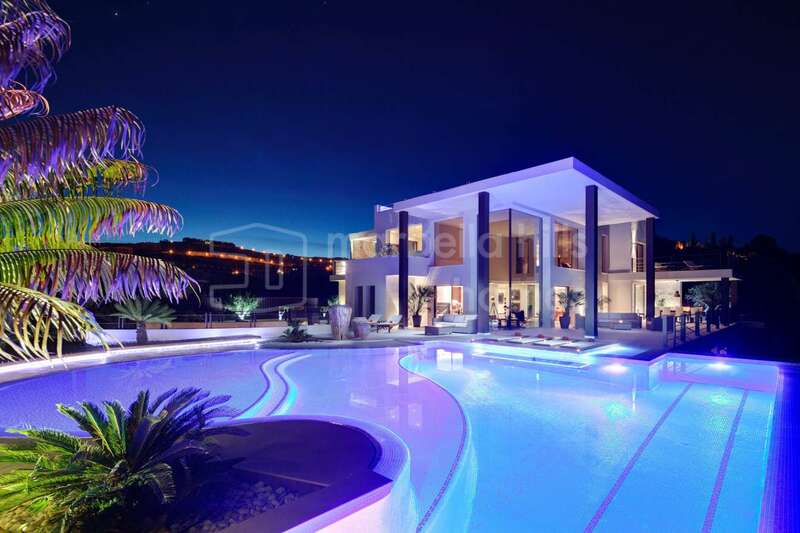 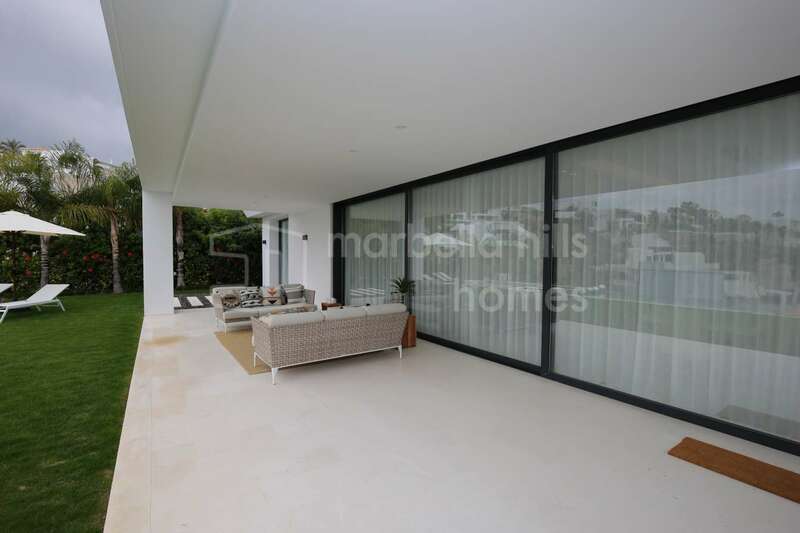 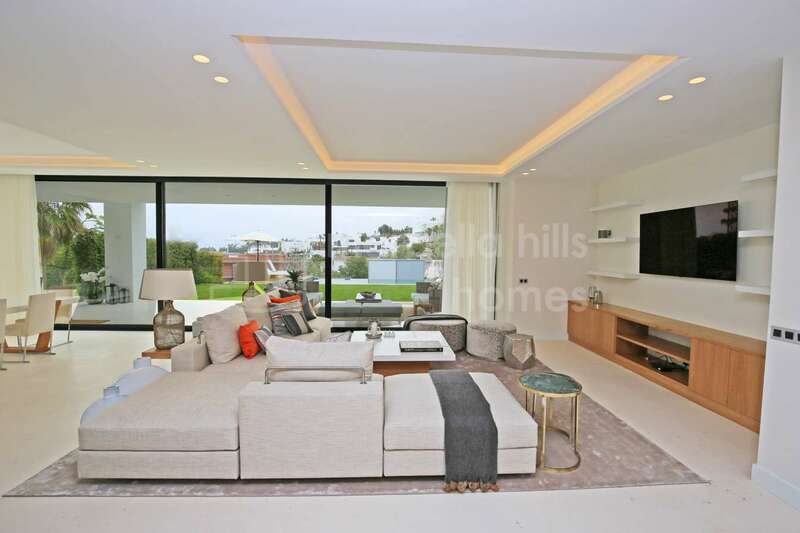 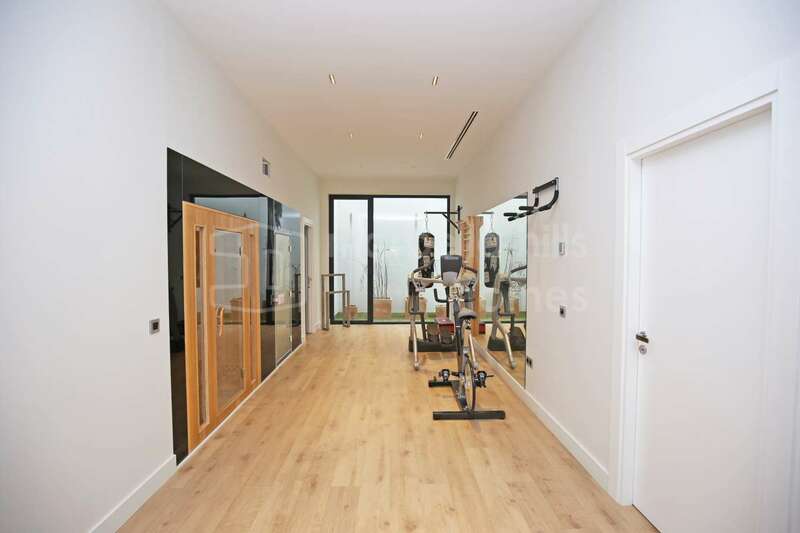 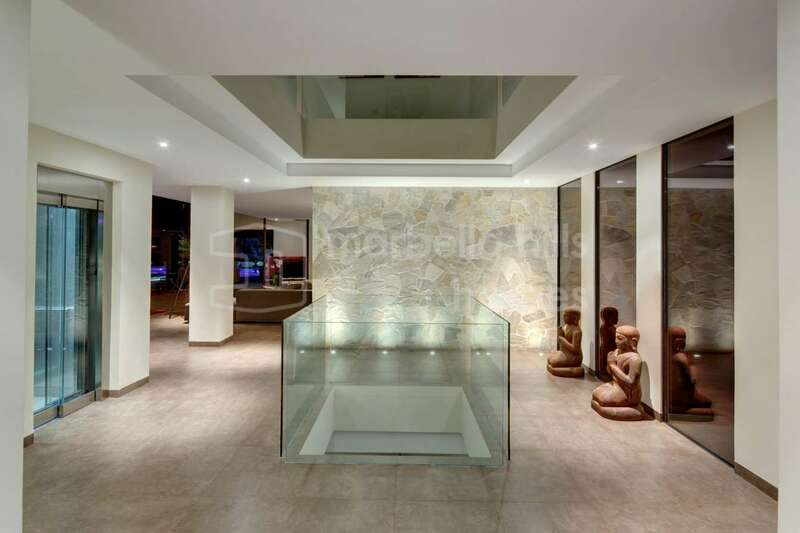 Natural light and views flood in, while the exterior design, lighting and landscaping mark this out as an architectural designer villa in Marbella. 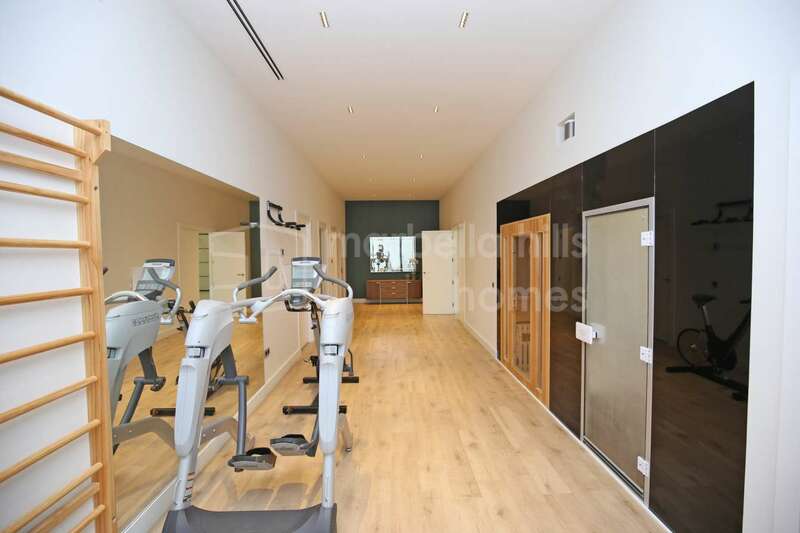 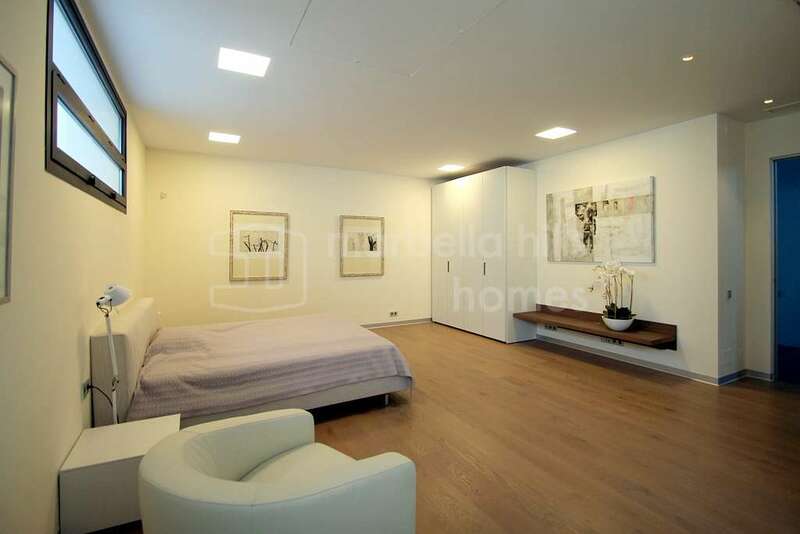 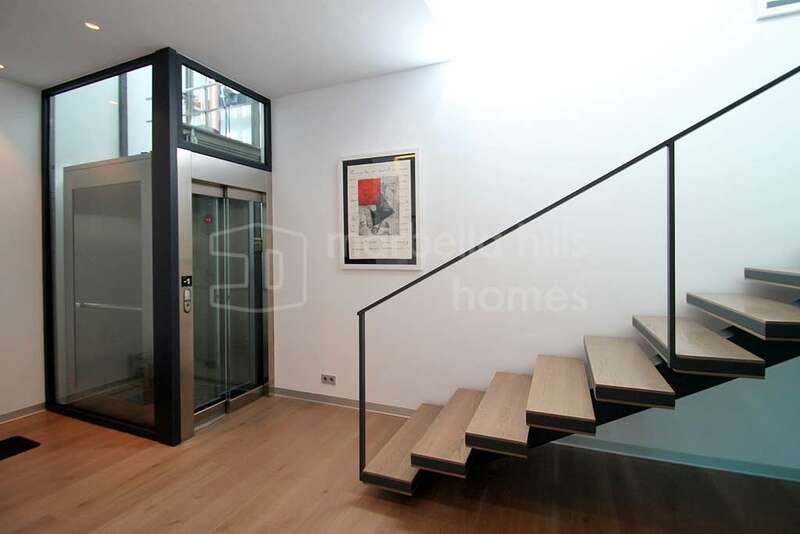 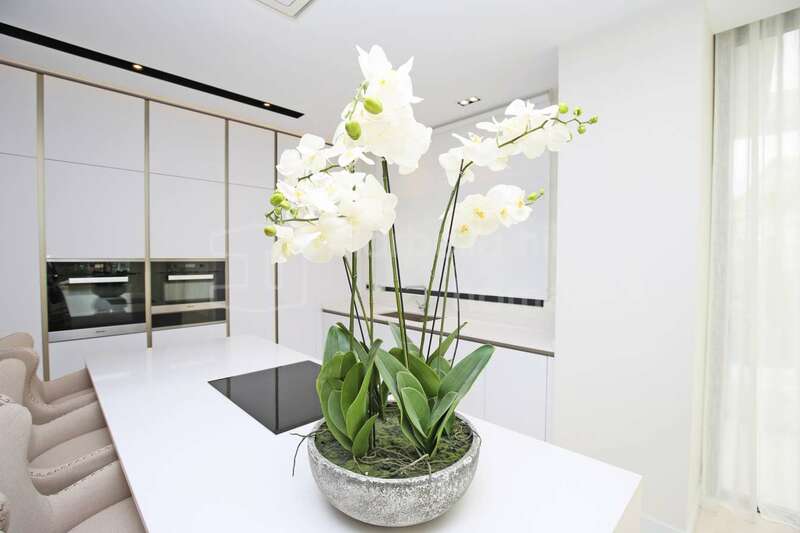 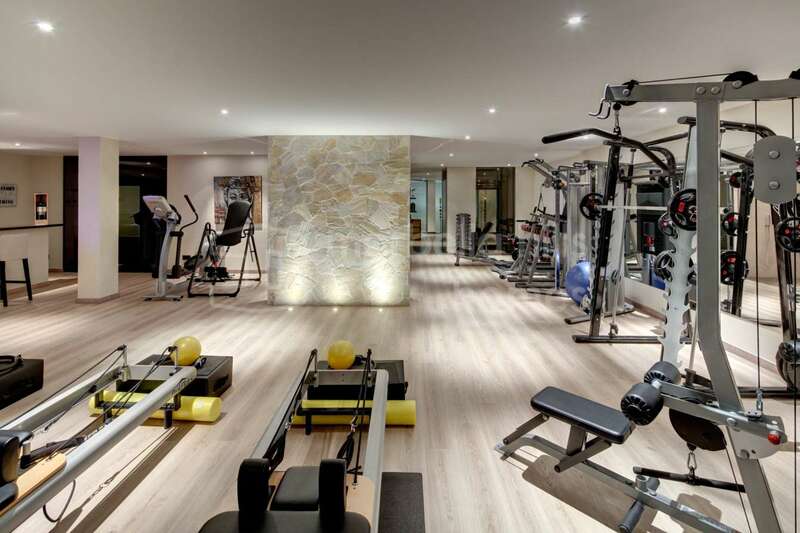 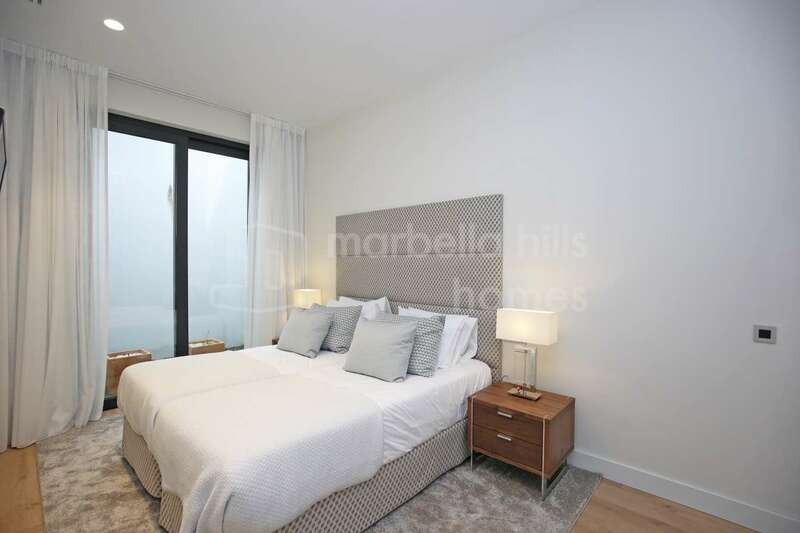 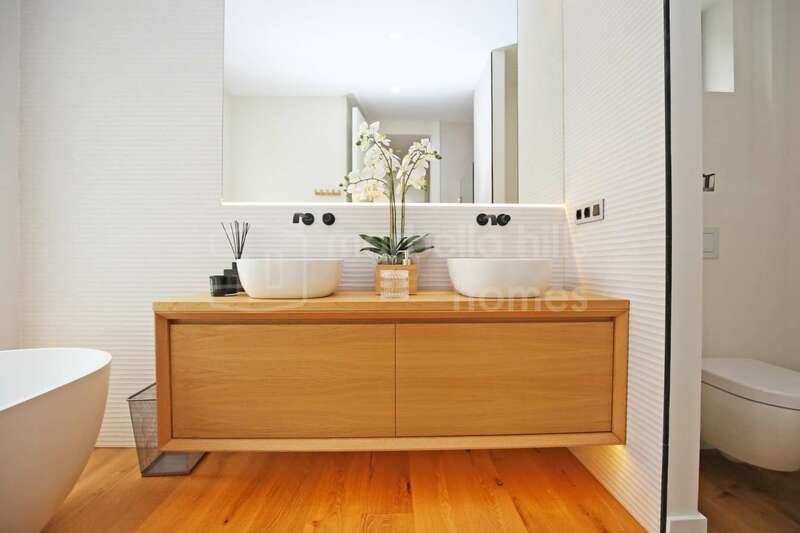 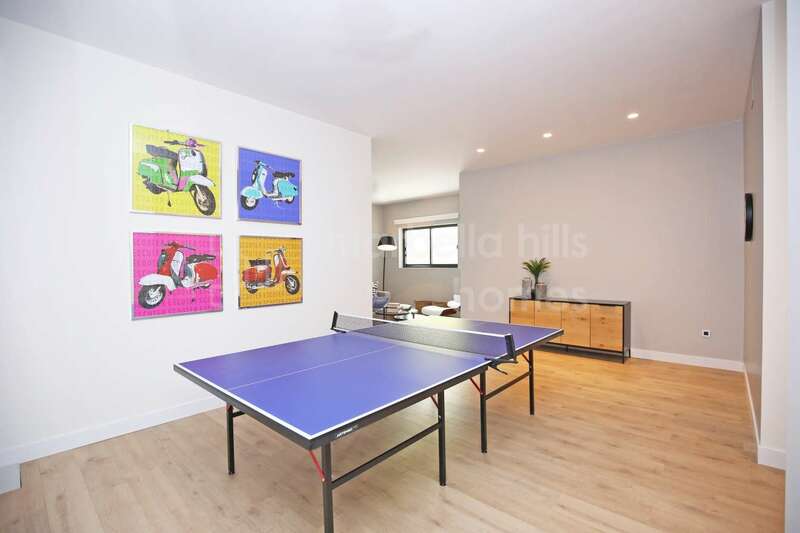 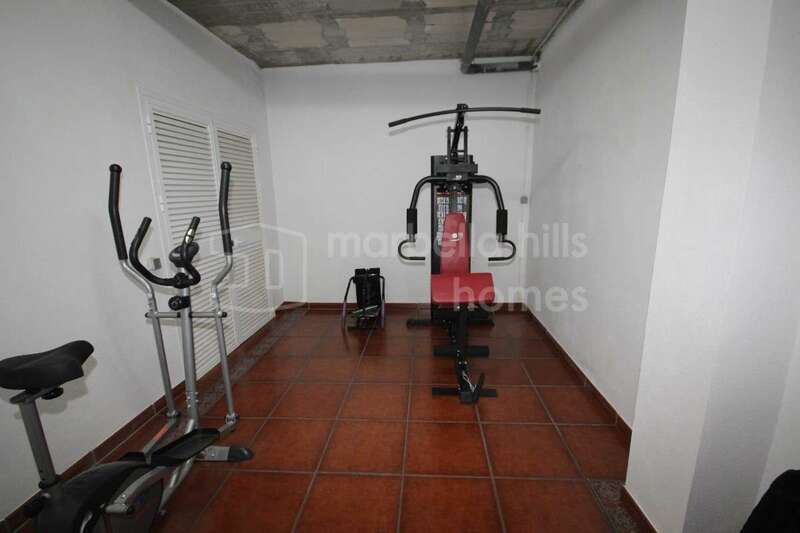 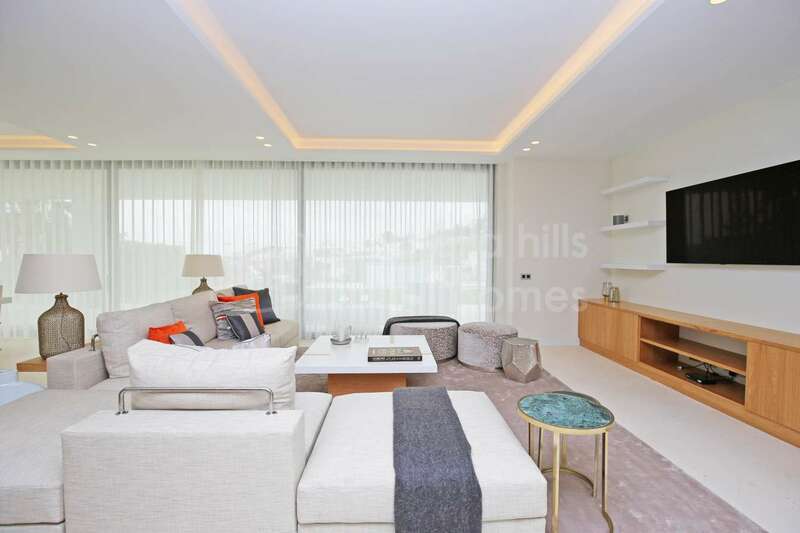 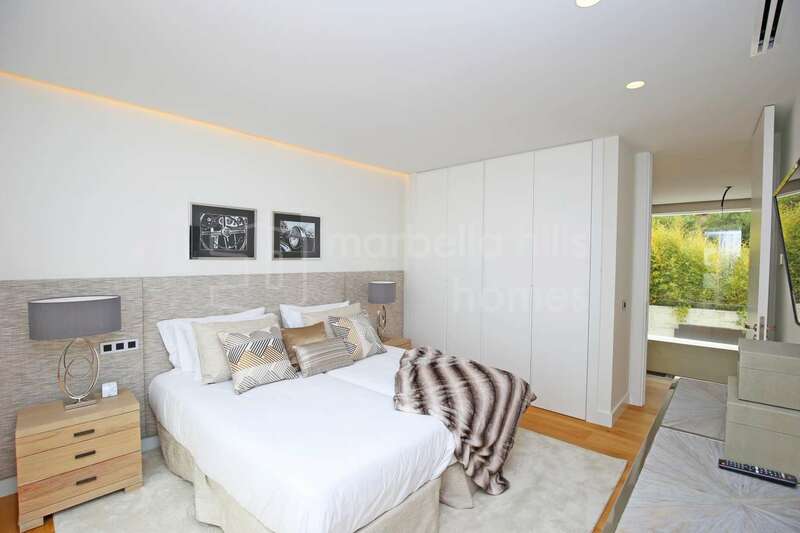 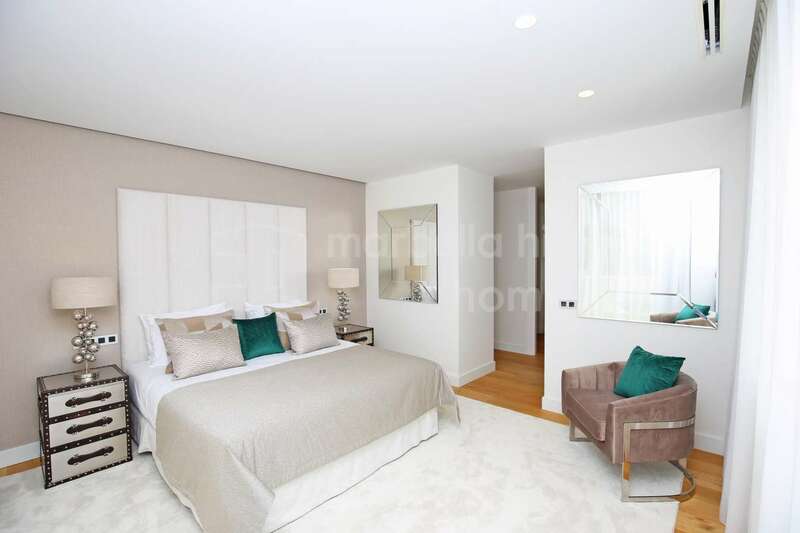 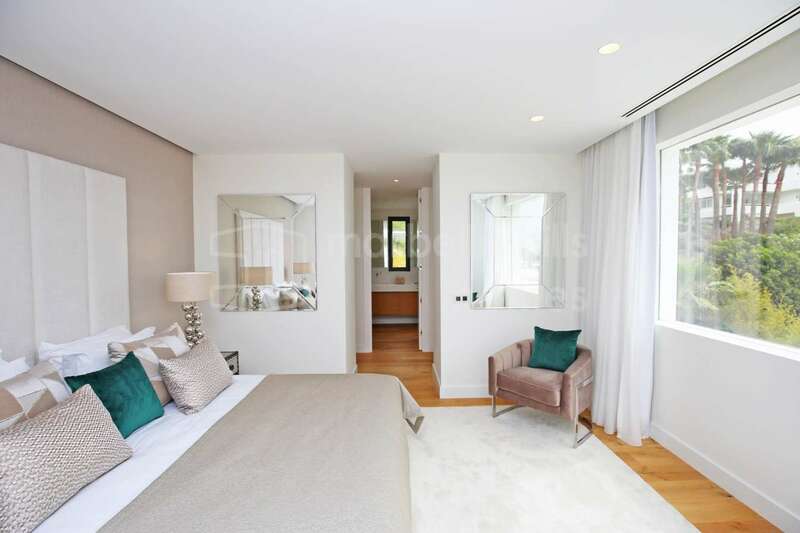 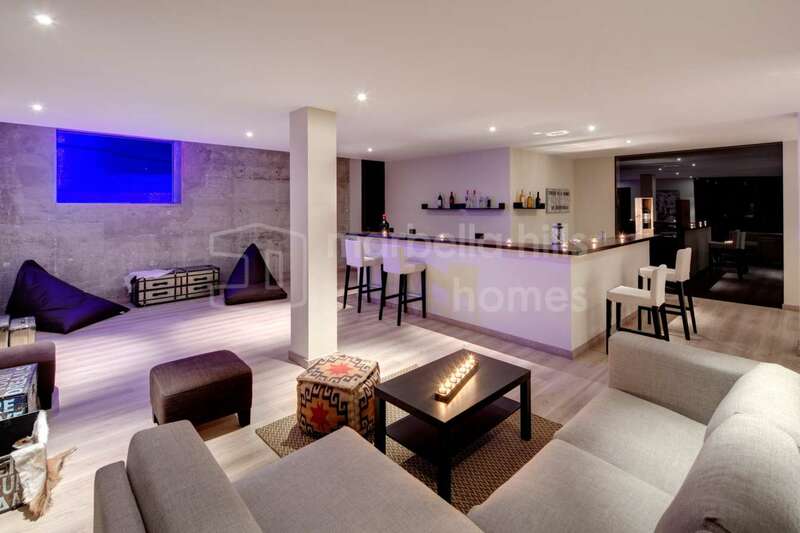 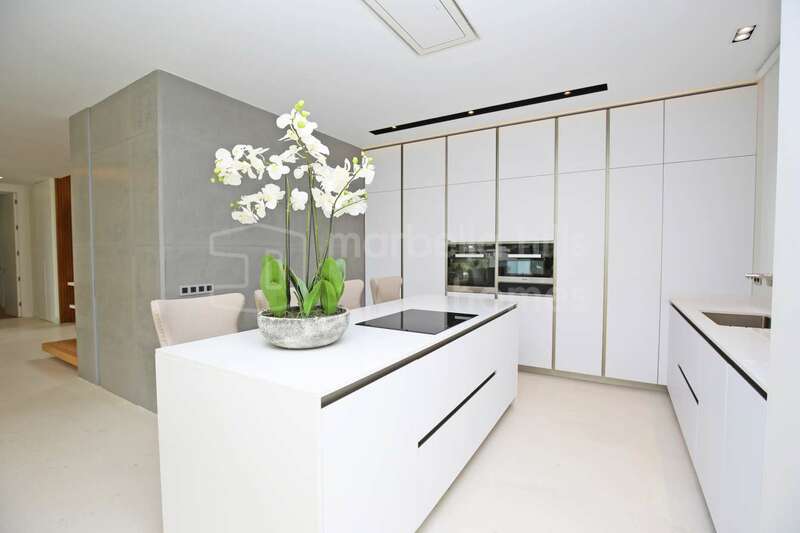 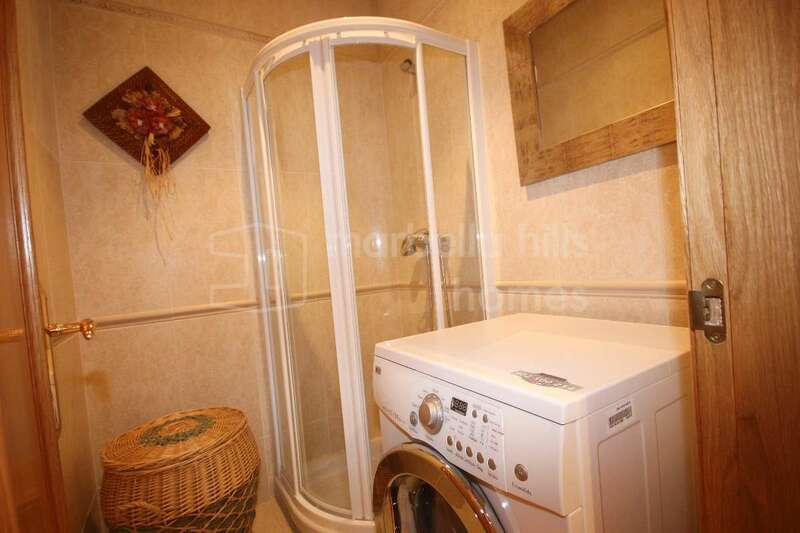 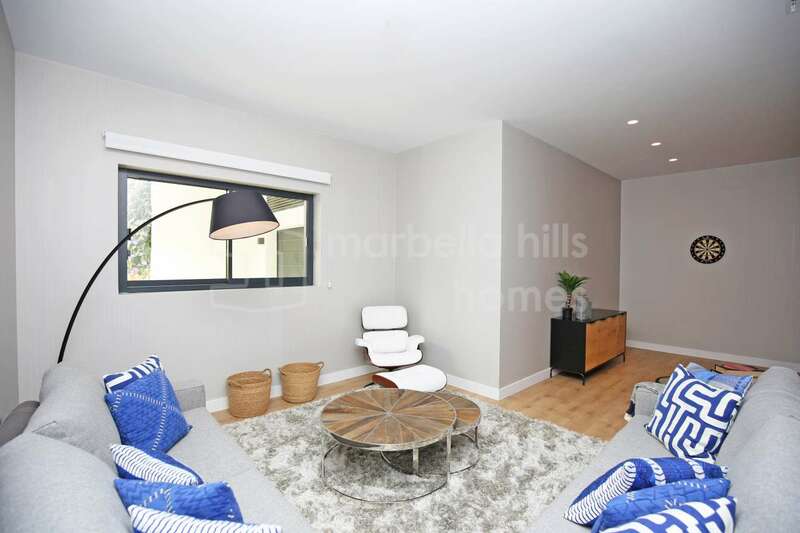 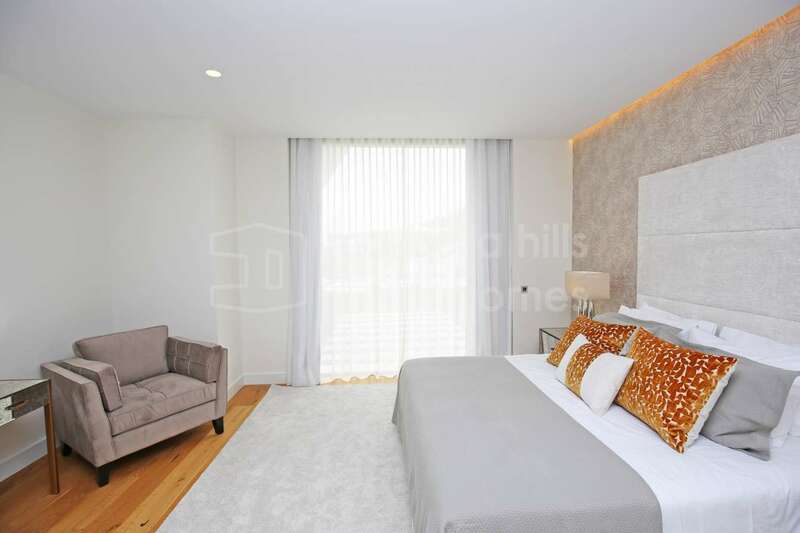 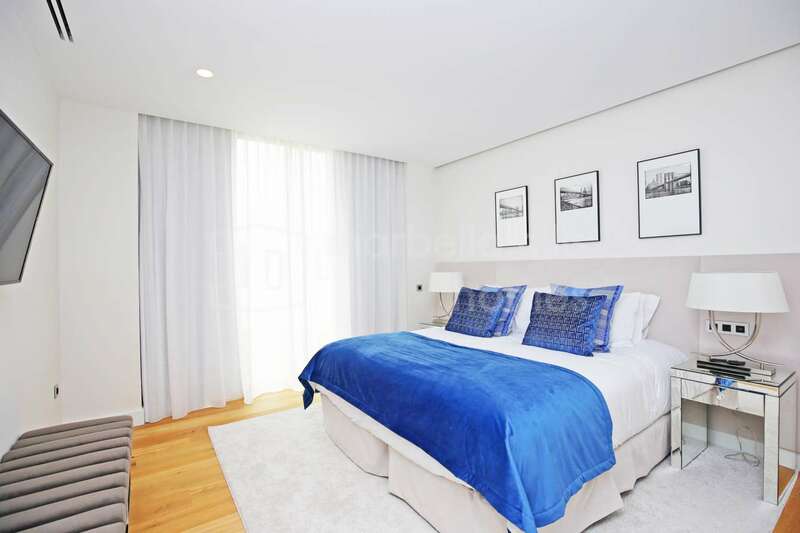 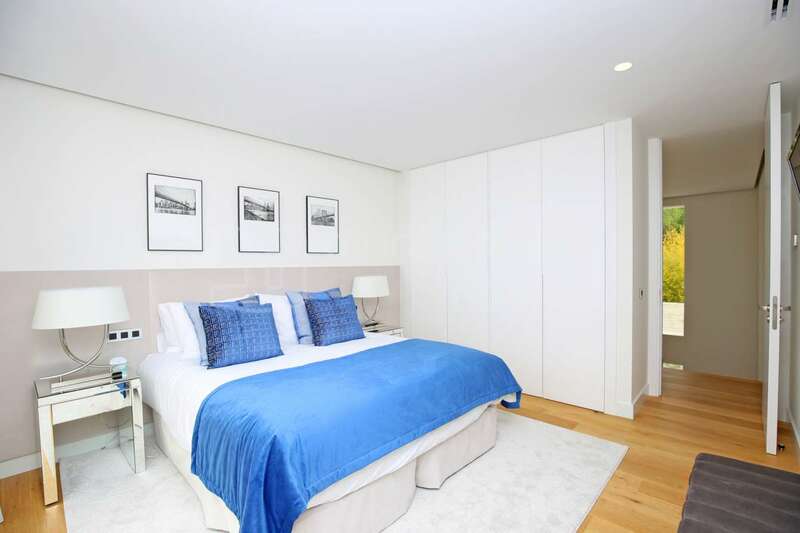 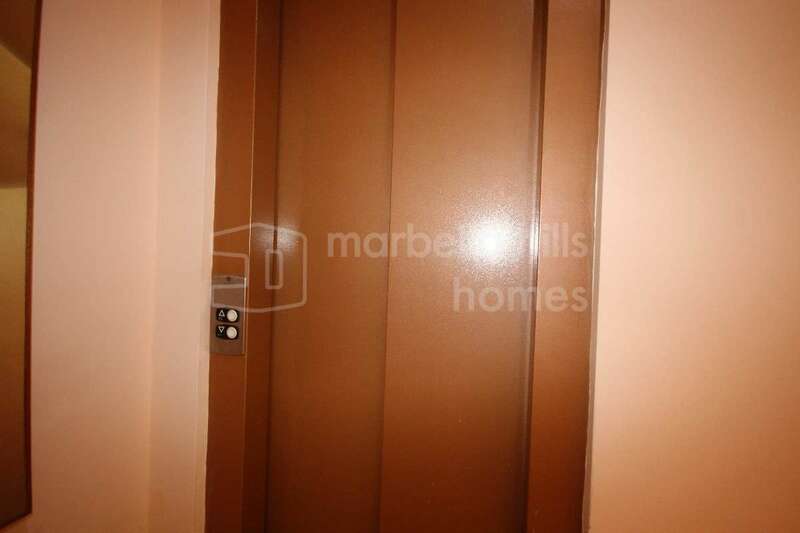 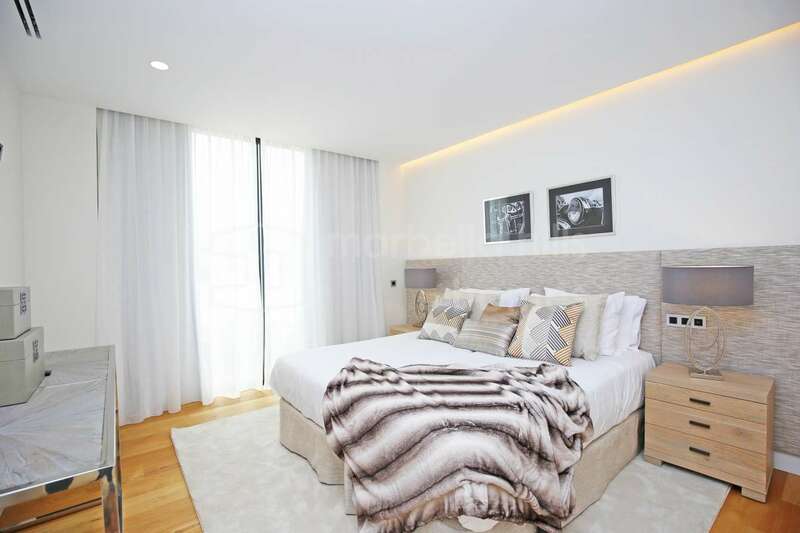 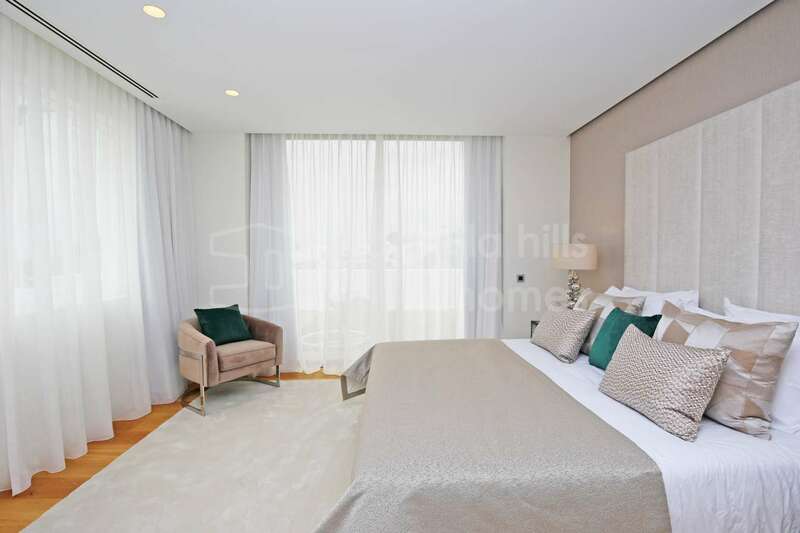 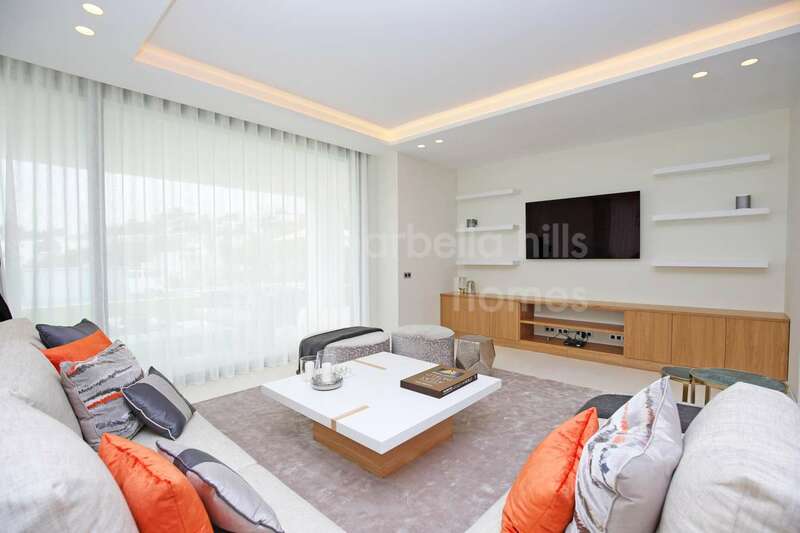 Other features include a modern bodega wine cellar in the lower basement floor, which also includes a guest suite and an area that can be made into a gym, study, lounge area, home cinema and/or entertainment area with bar and games room. 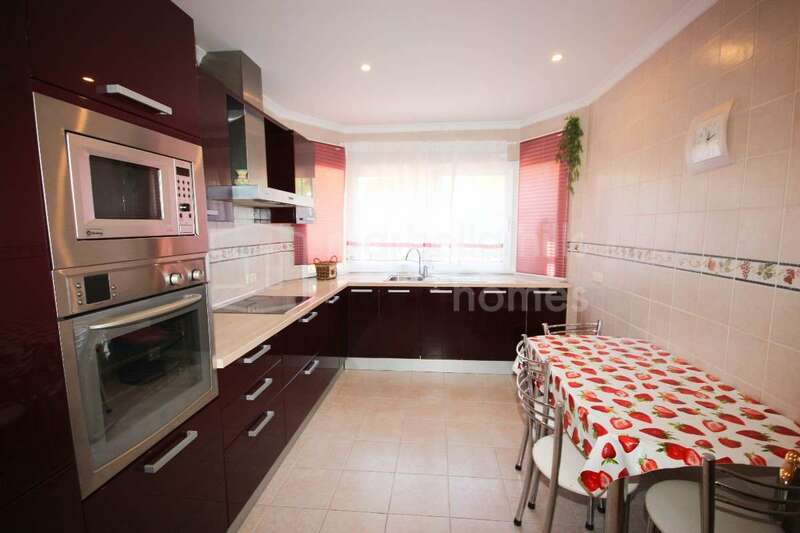 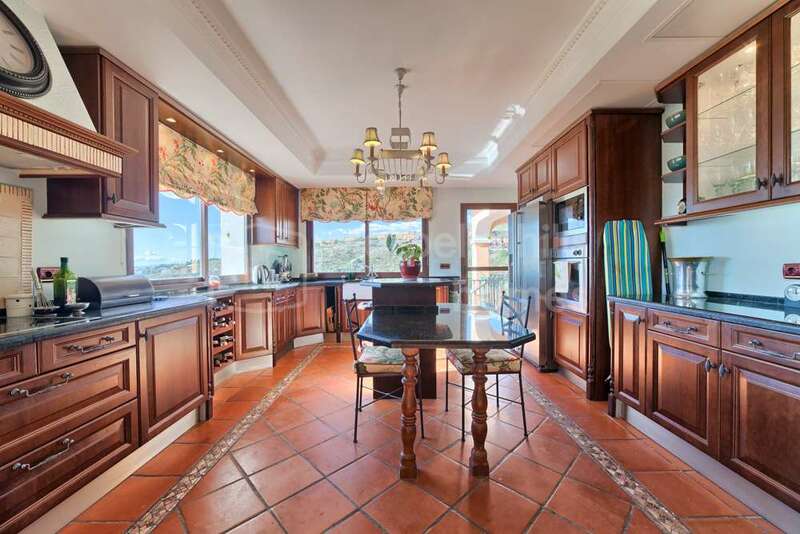 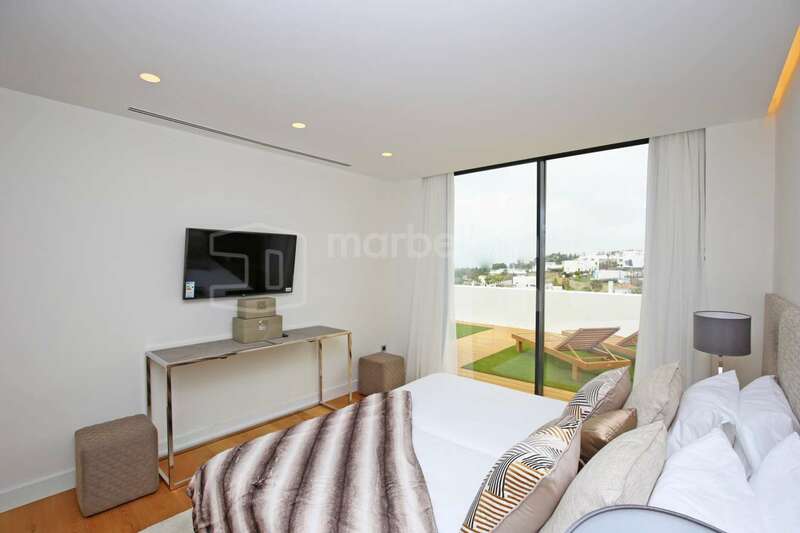 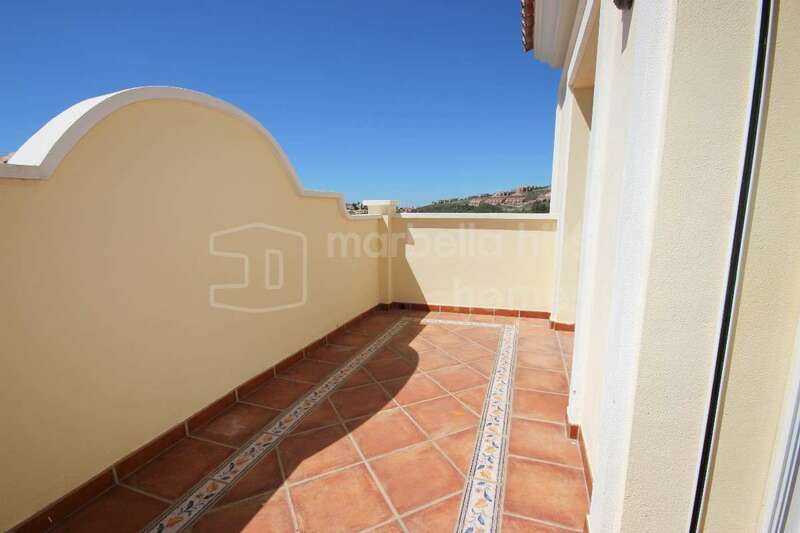 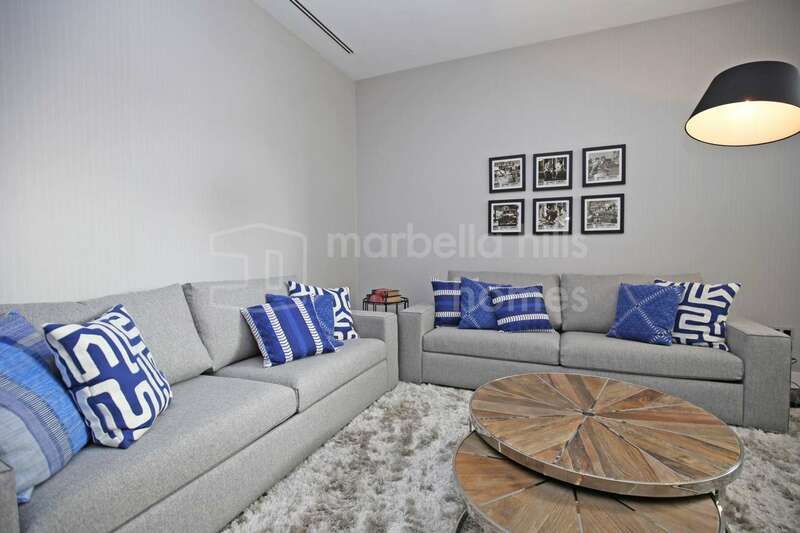 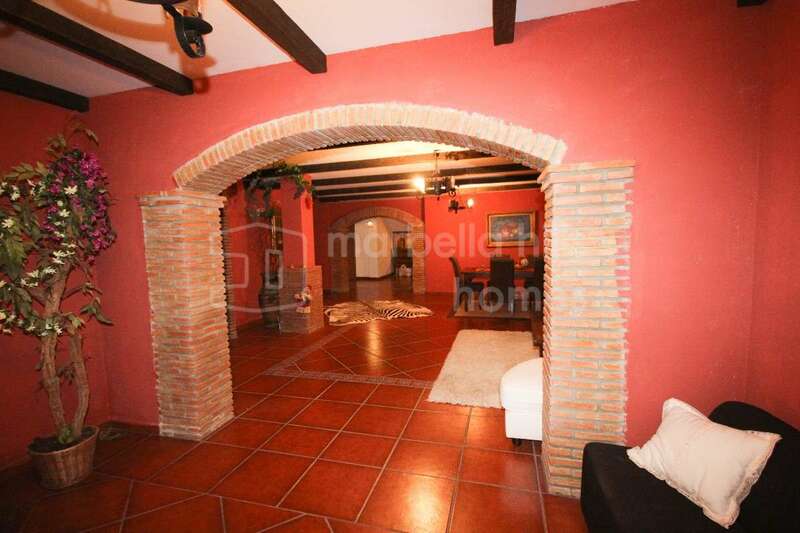 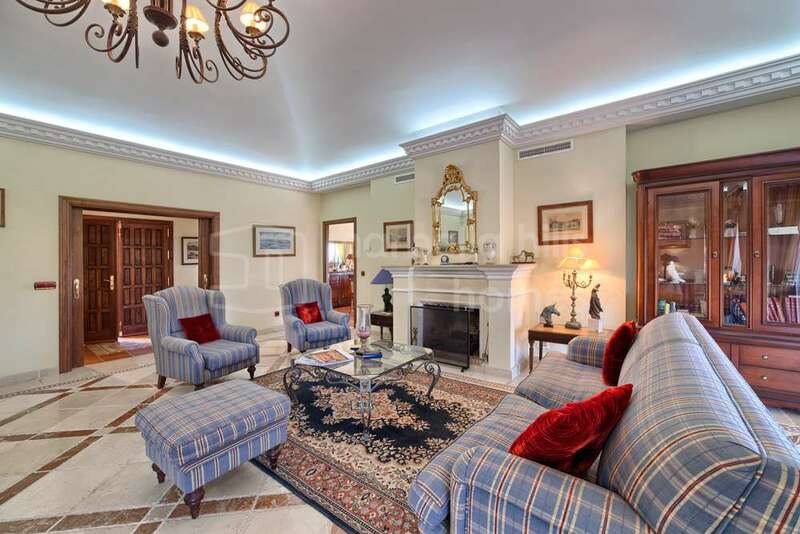 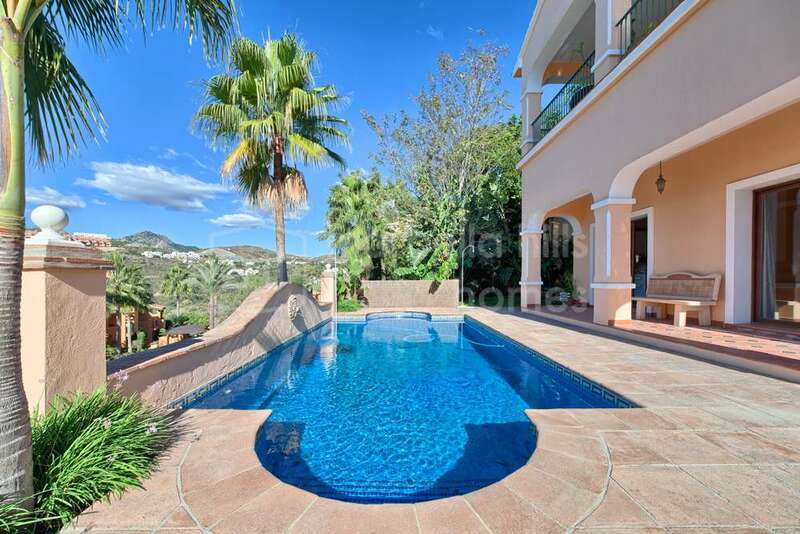 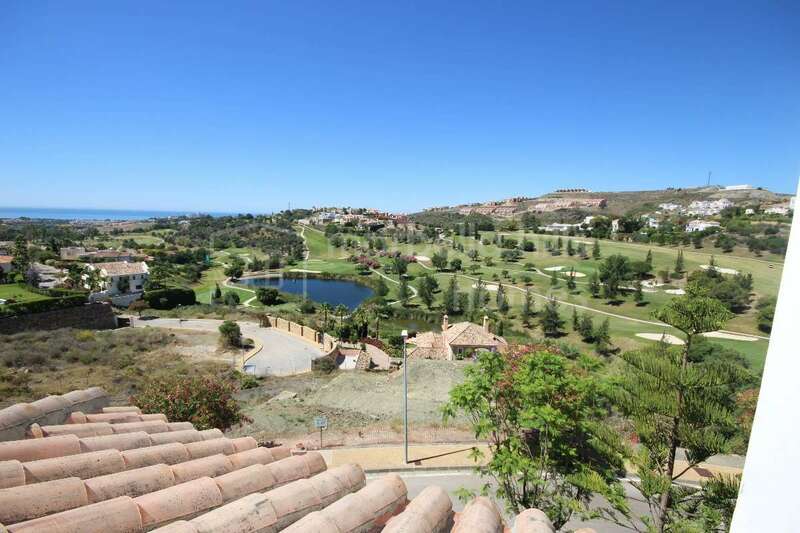 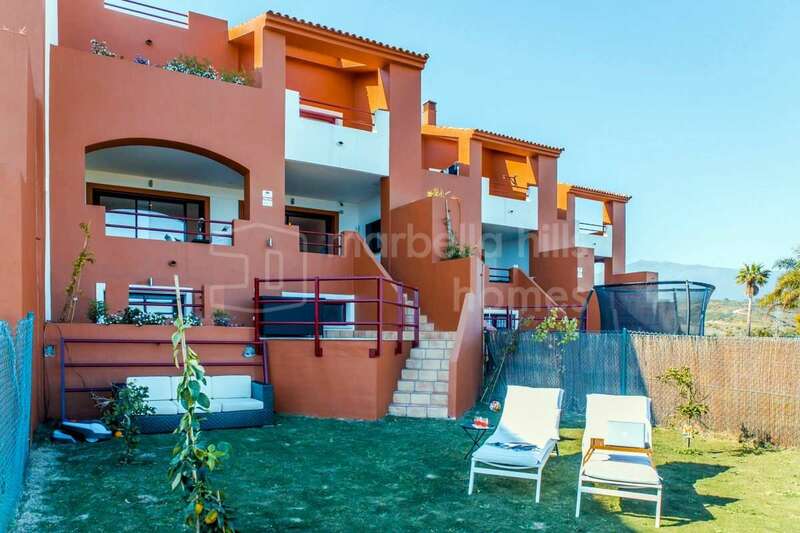 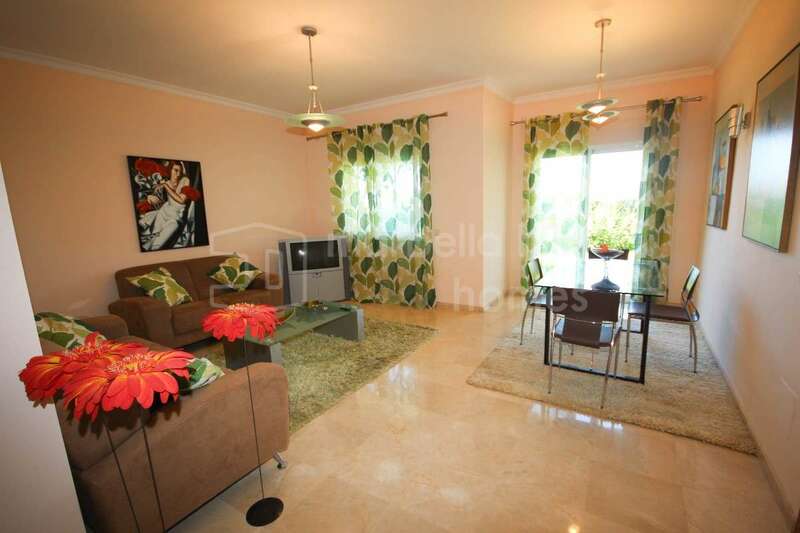 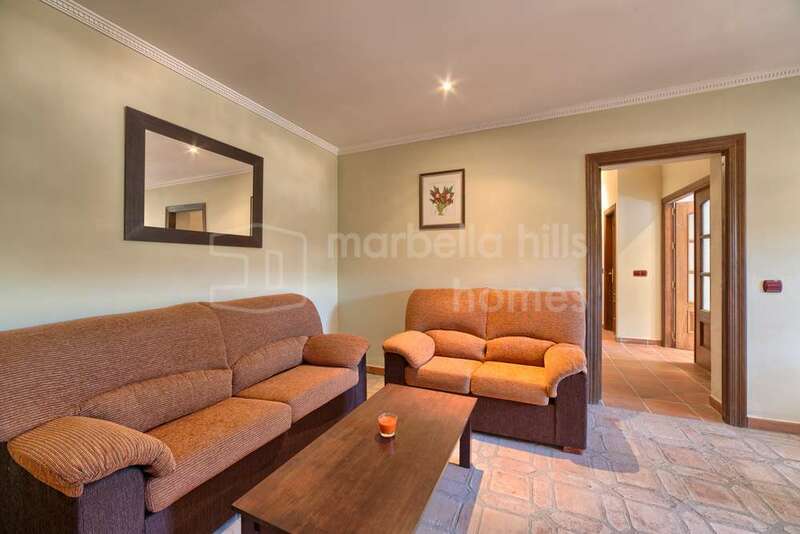 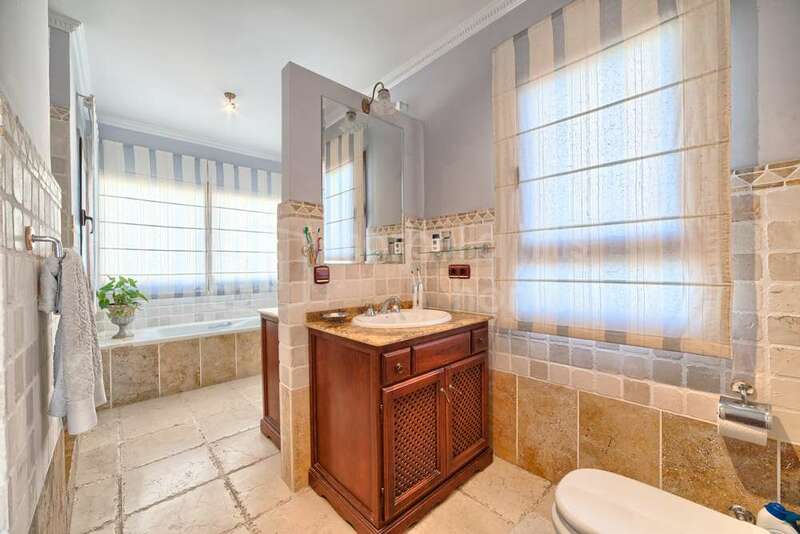 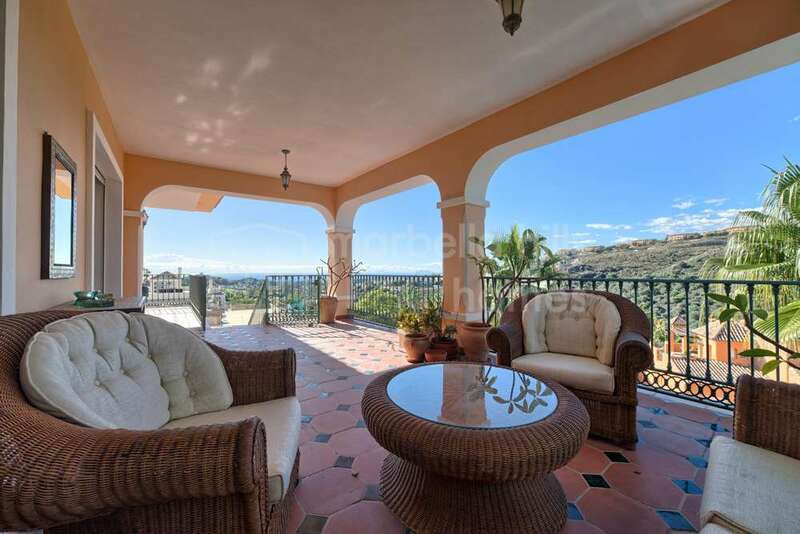 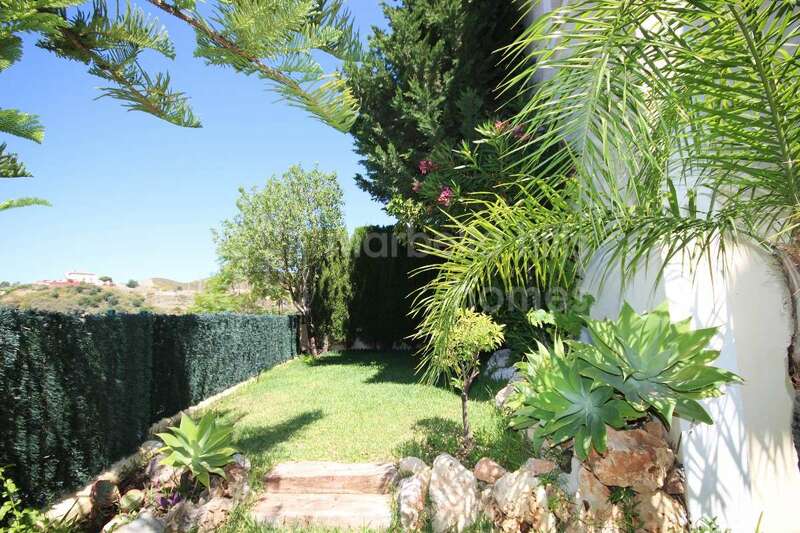 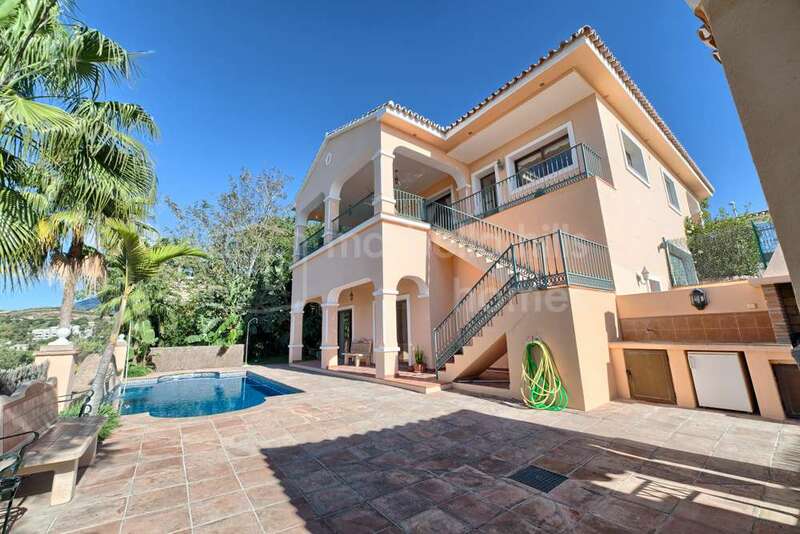 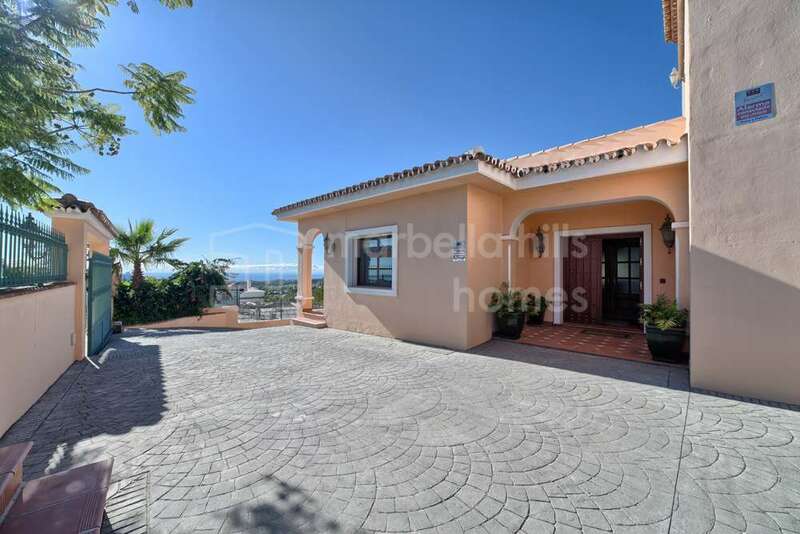 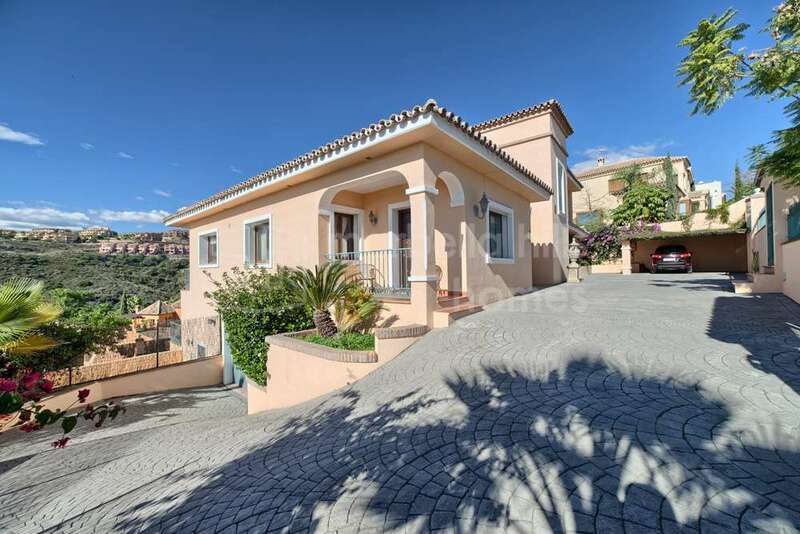 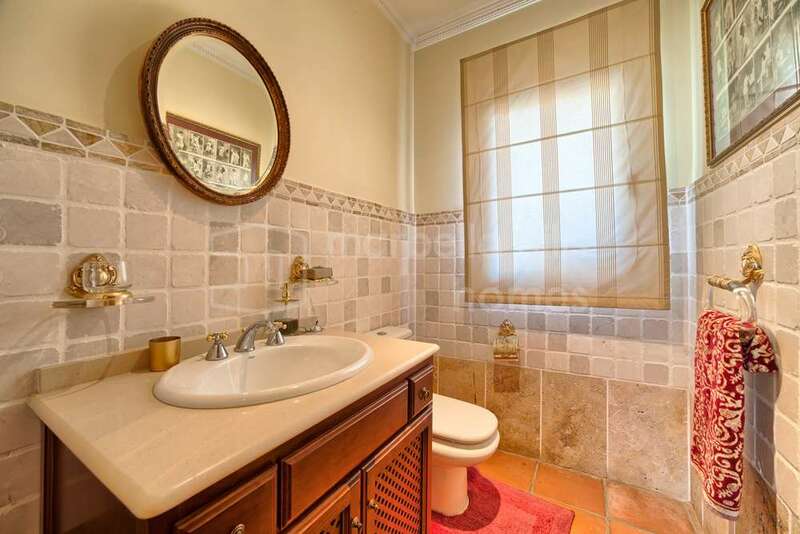 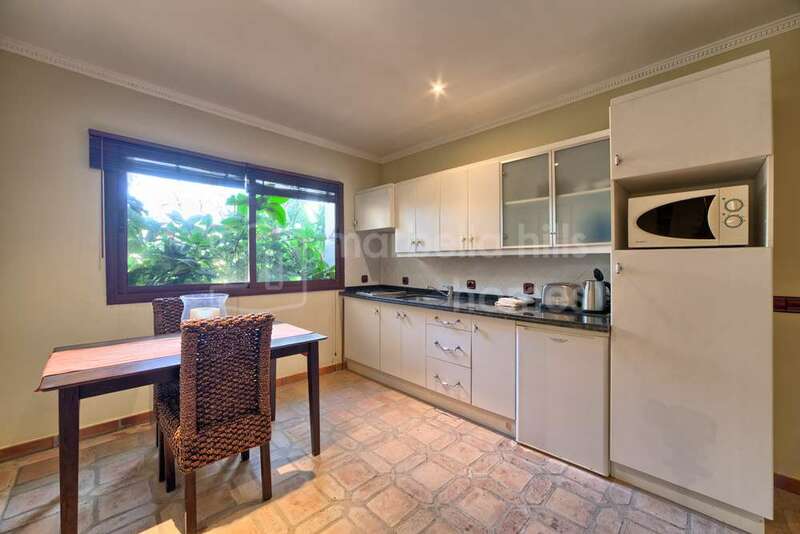 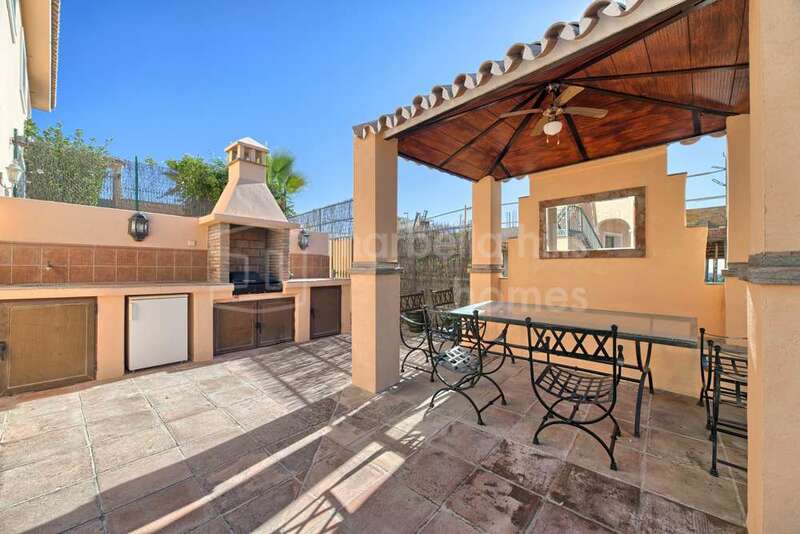 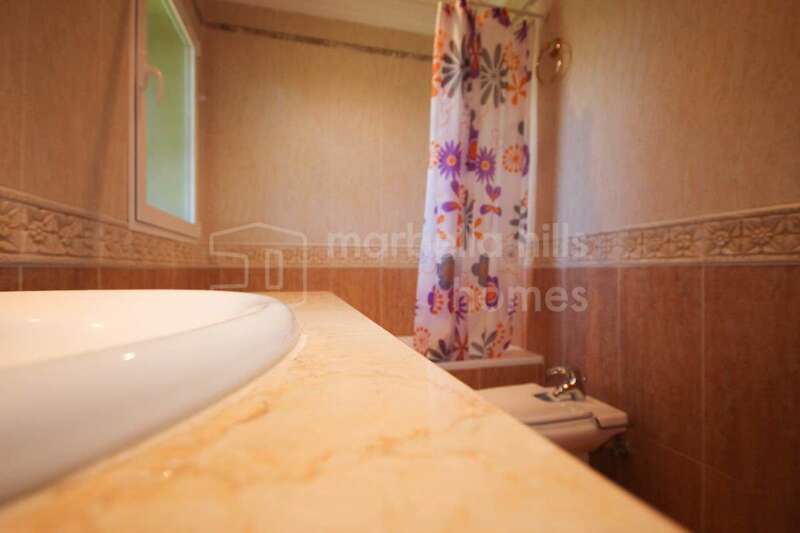 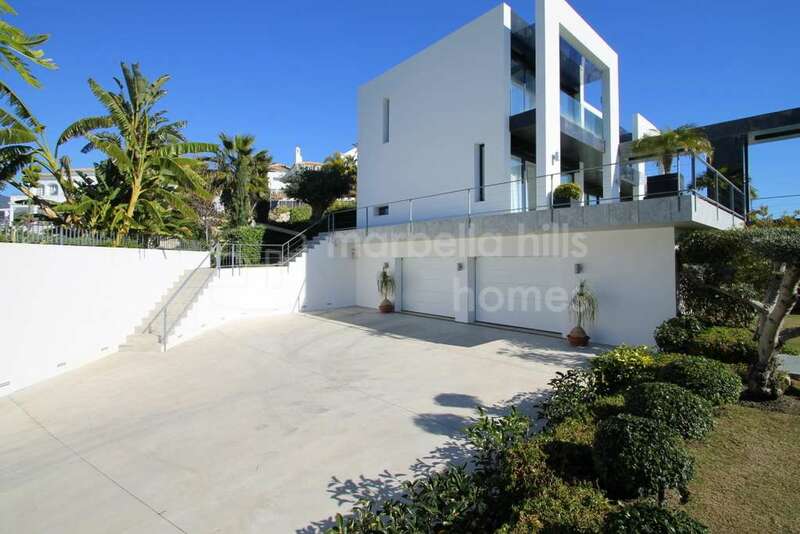 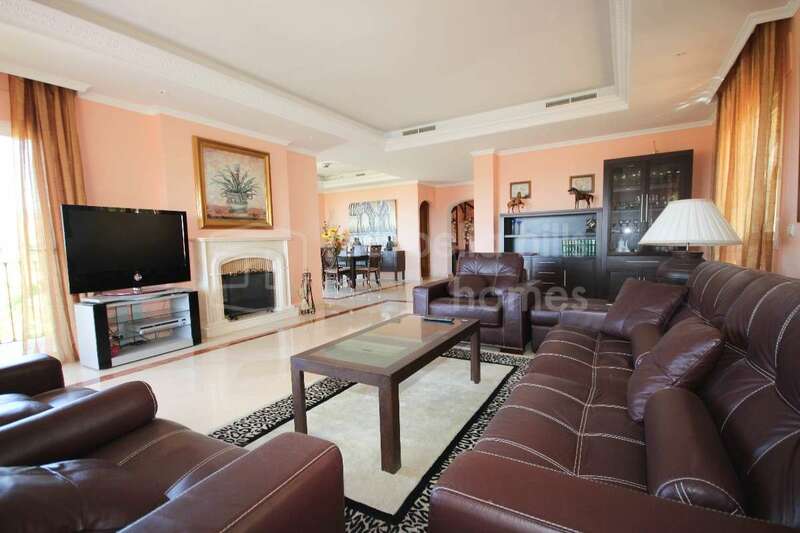 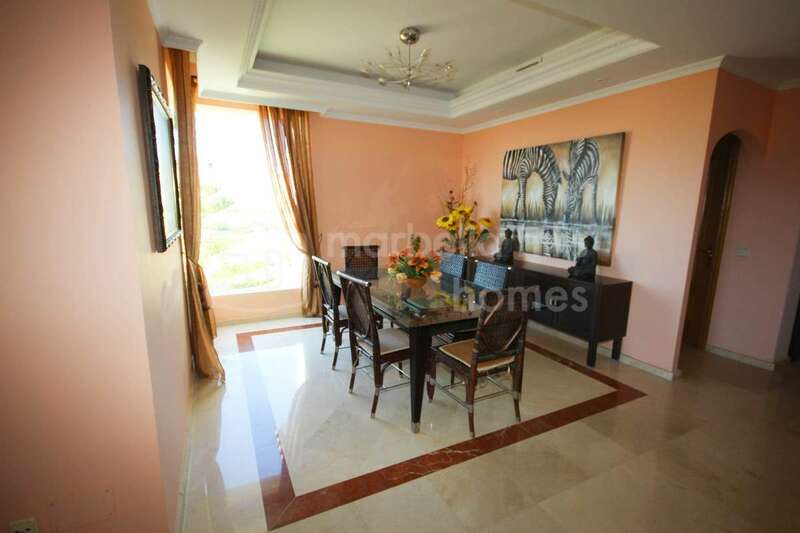 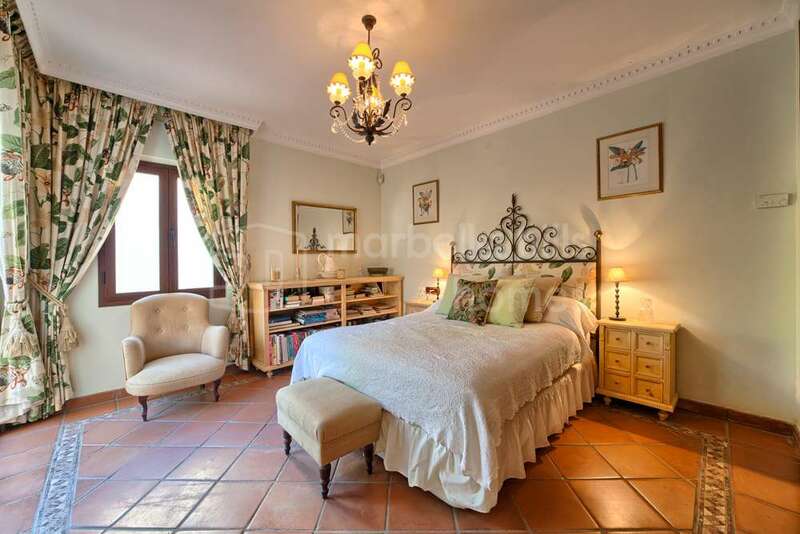 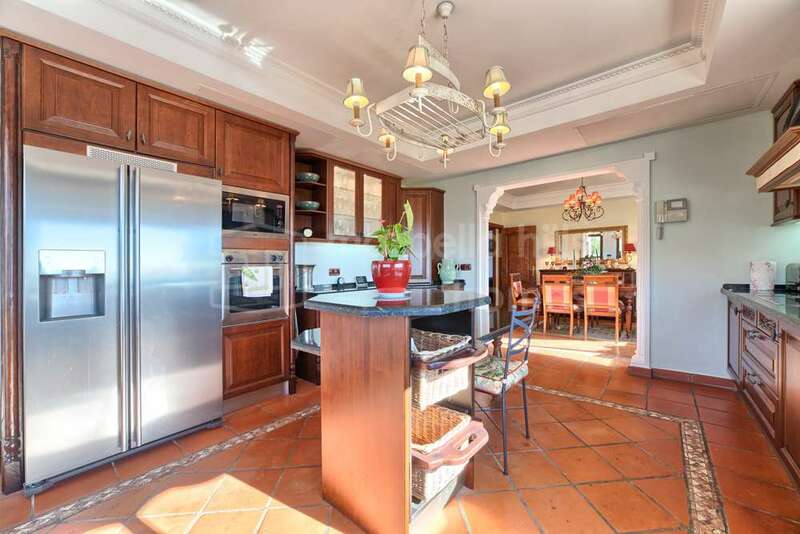 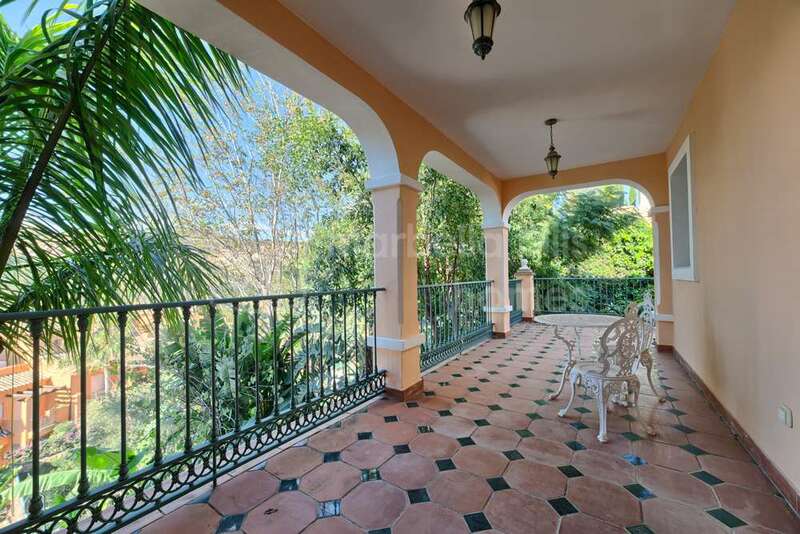 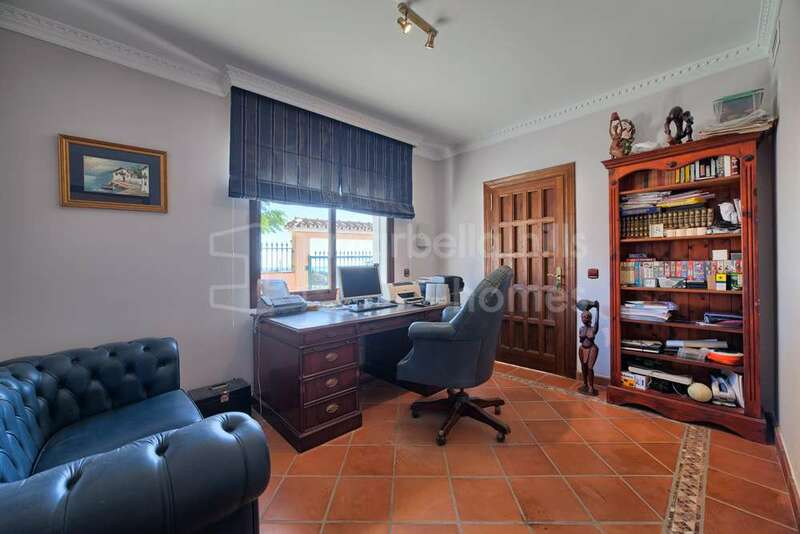 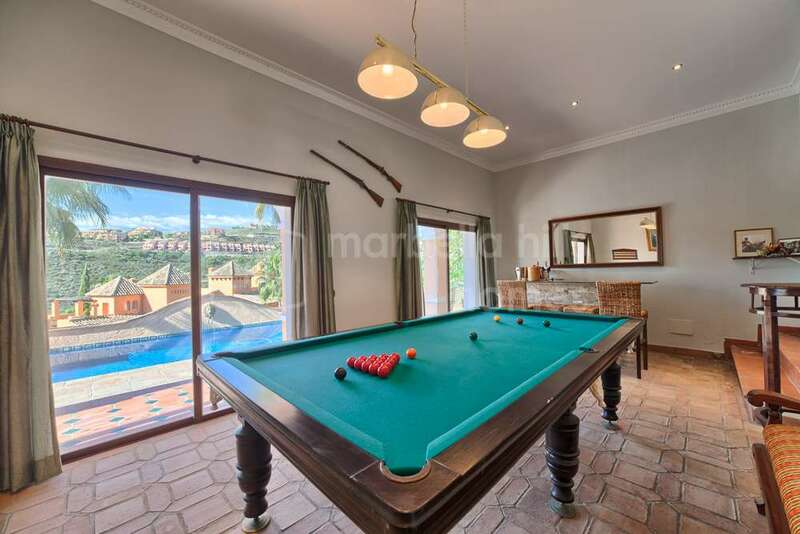 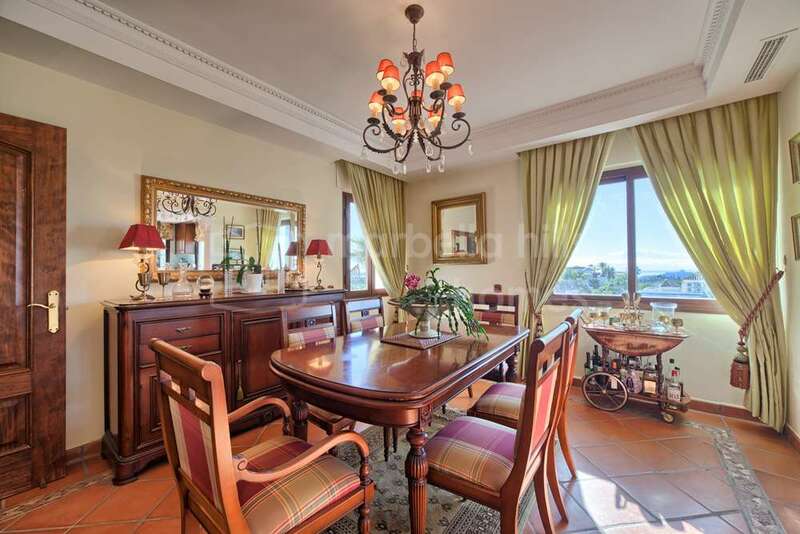 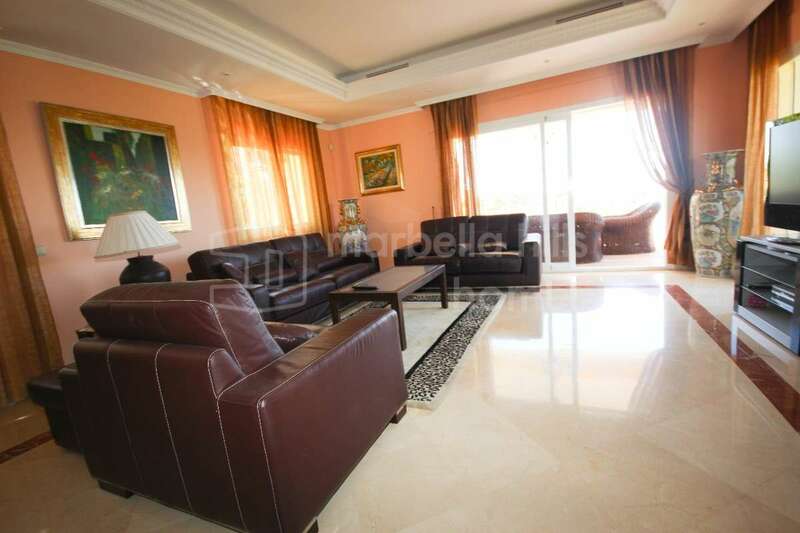 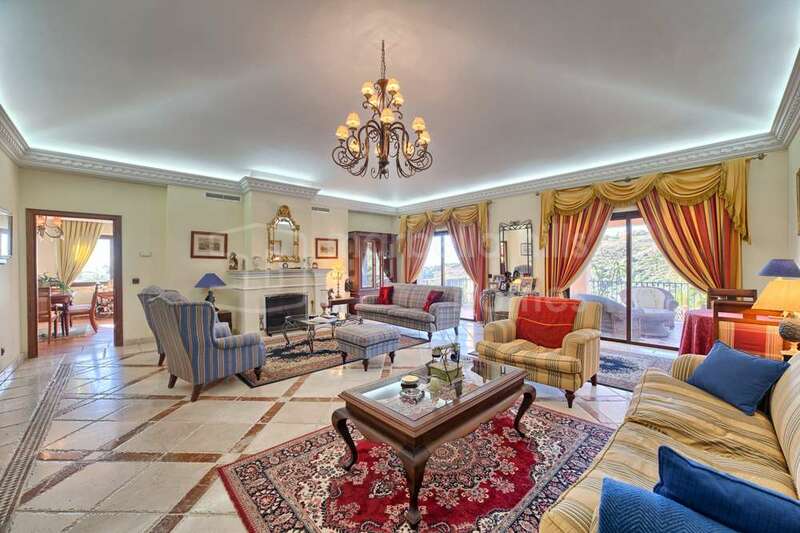 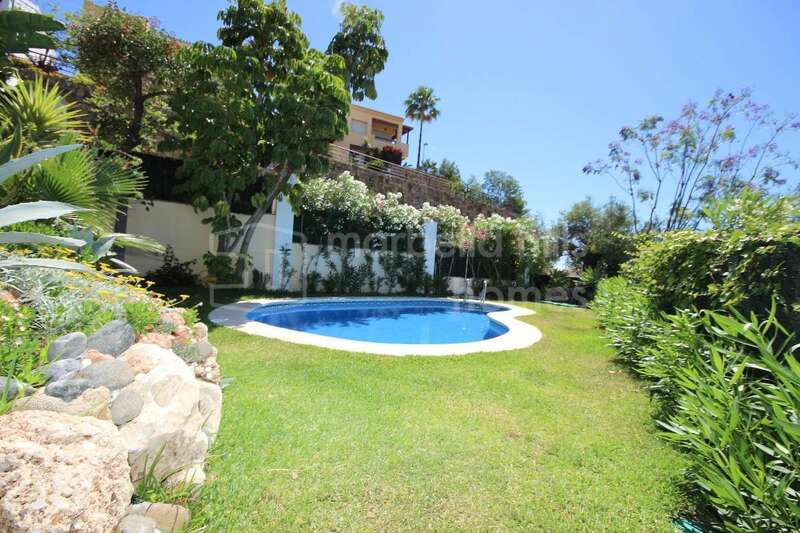 The property finds itself in a peaceful but central location, close to nature and golf courses but also just ten minutes to Benahavis and San Pedro Alcántara, with Puerto Banús, Marbella town and Estepona within a twenty minute radius. 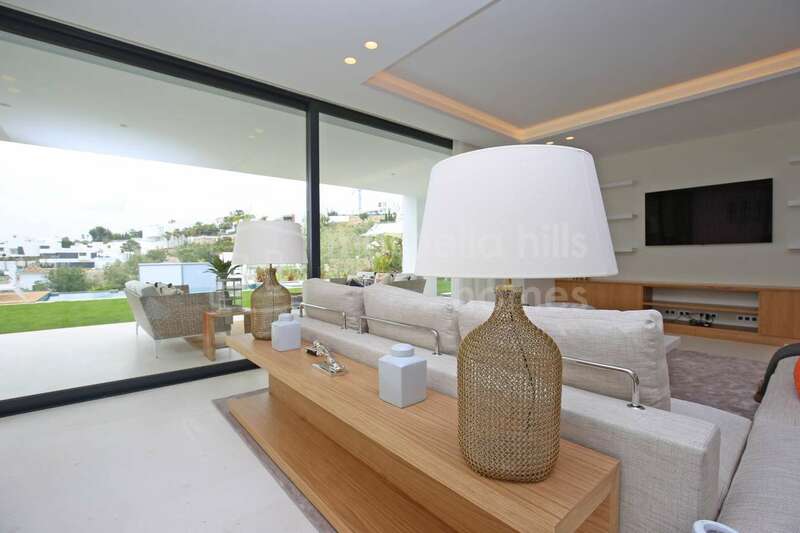 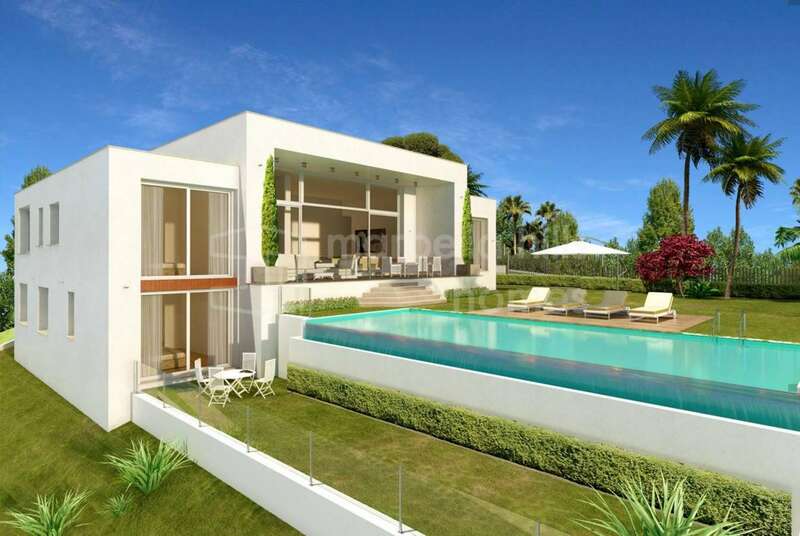 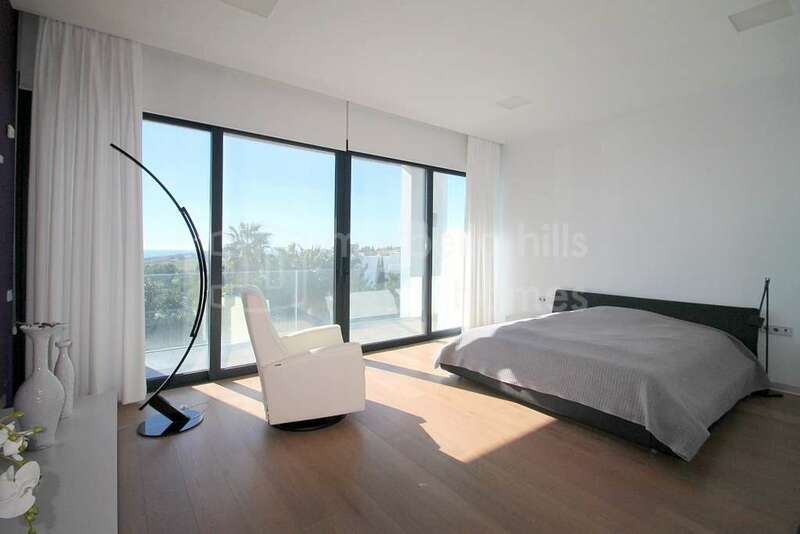 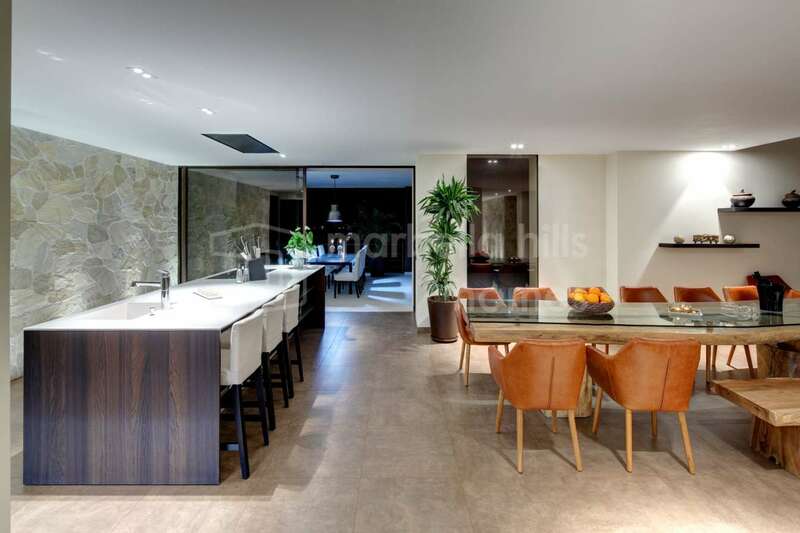 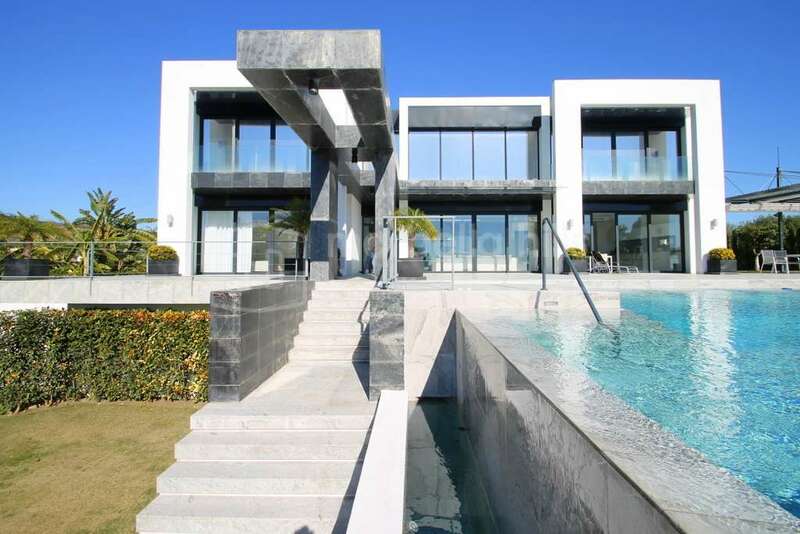 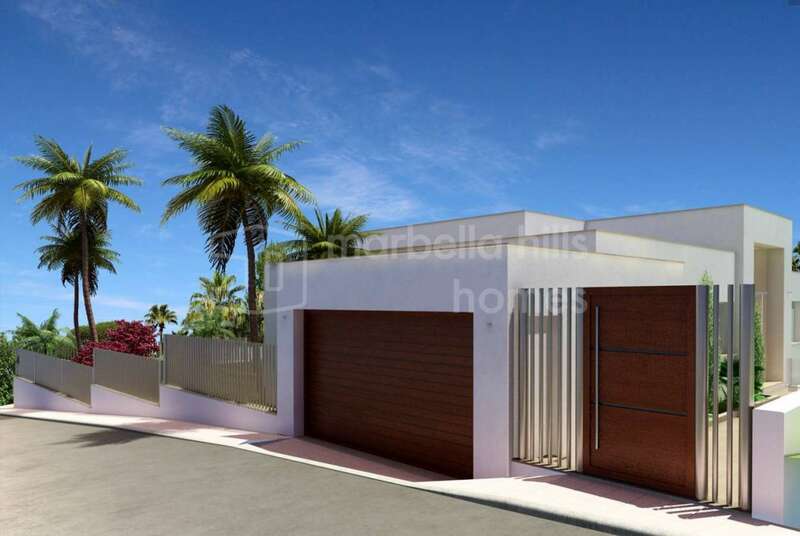 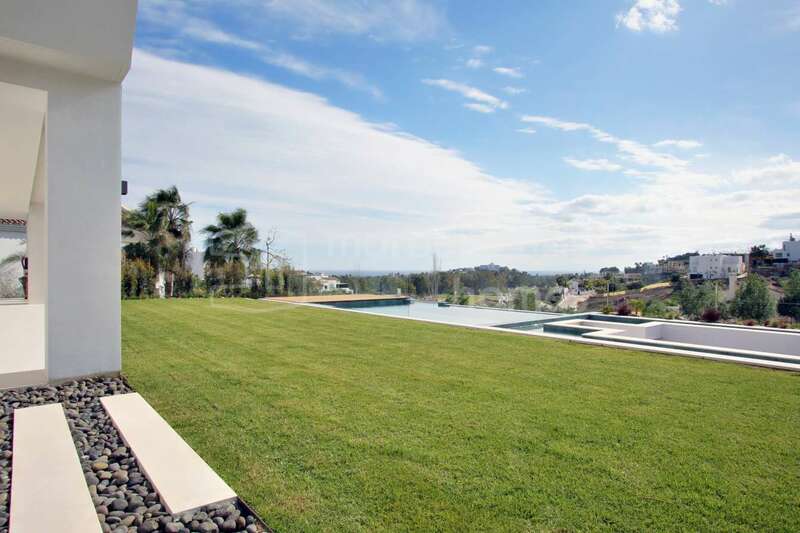 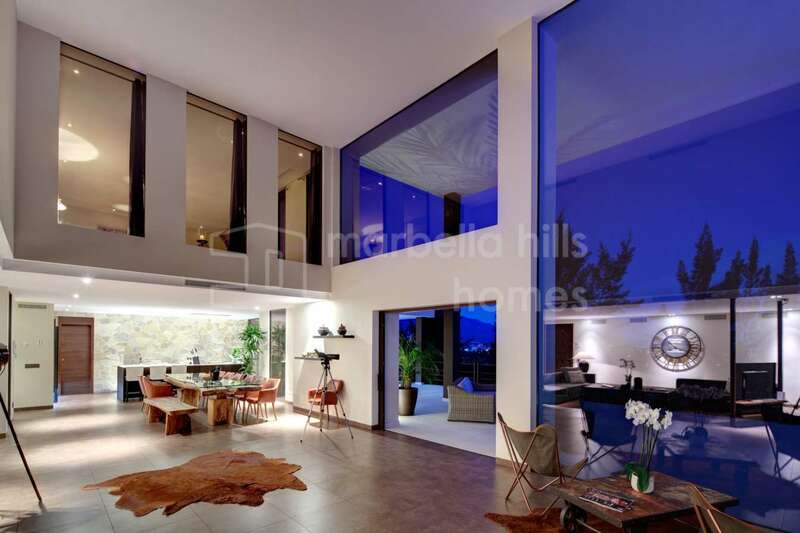 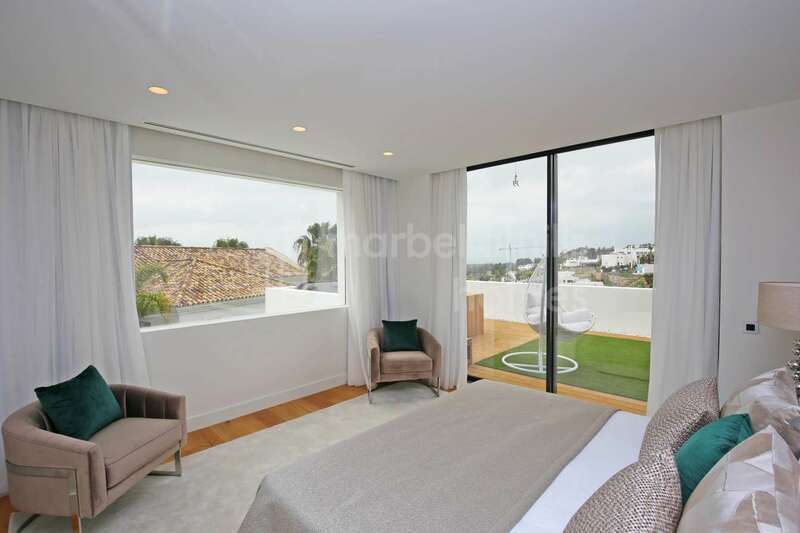 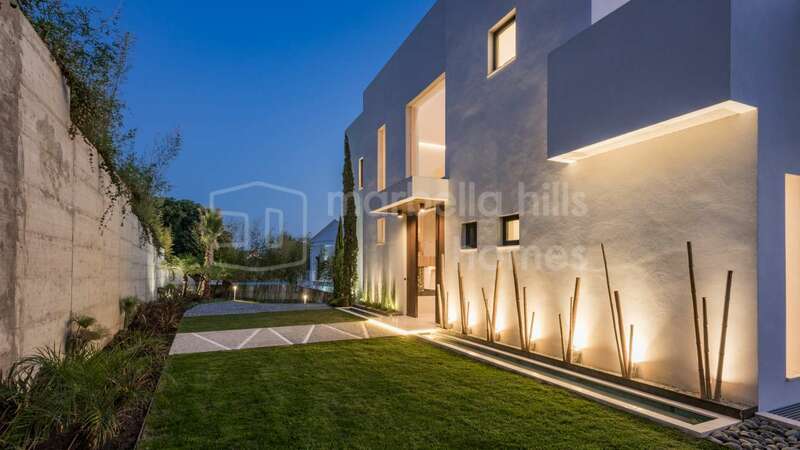 Contact us for further details on one of the finest modern villas for sale in La Alquería, Benahavis.